This video shows the first 8 heats from the 2018 TCT Karting Challenge in aid of Teenage Cancer Trust at Drive-Tech Ltd. This kart racing event brought together champions, drivers, reporters and motorsport enthusiasts from all forms of racing to raise money for Teenage Cancer Trust. The event managed to raise over £2,000 for Teenage Cancer Trust. Many thanks to all of the sponsors, spectators and drivers who helped us to raise money. 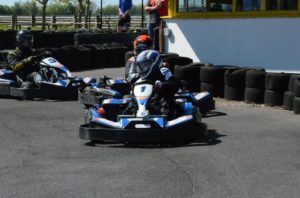 For more information about our kart racing events, please get in touch. We wish clients old and new a Merry Christmas and a Happy New Year! The Drive Tech office will be closed for our annual shut down between 21st December 2018 until 22st Jan 2019. 10% reductions OFF ALL SKID COURSES! Use ONLINE or on telephone orders. What a great way to end the week!! 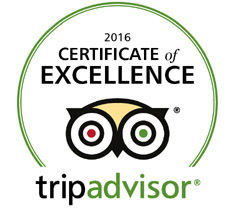 We’ve just received our 200th TripAdvisor review!! Thank you to everyone who has reviewed us and helped maintain our wonderful record. To book a driving experience or to find out more, please get on touch. 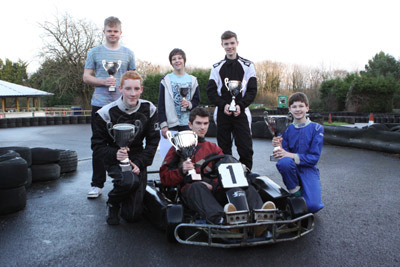 Latest Castle Combe Go Karting News!! The last round of the Adult Castle Combe Go Karting Championship was on Saturday 15th September. It was absolutely amazing racing with the battle going right down to the final lap of the Grand final! There was a tie on points between Jacob Lewis and Mike Seabourne, meaning the championship was decided by the most final wins. Mike had two final wins to Jacob’s one win, meaning Mike won the championship with Saturdays Final win! The overall top 3 drivers, Mike Seabourne, Jacob lewis and Thomas Cardno together with masters winner John Hallam were treated to a lap of honour on the Winners car on the main circuit Grand Finals Race day! They were also interviewed and had a photo shoot in the main paddock. Well done to all the winners from the team at Drive-Tech. Or alternatively contact to Drive-Tech office. 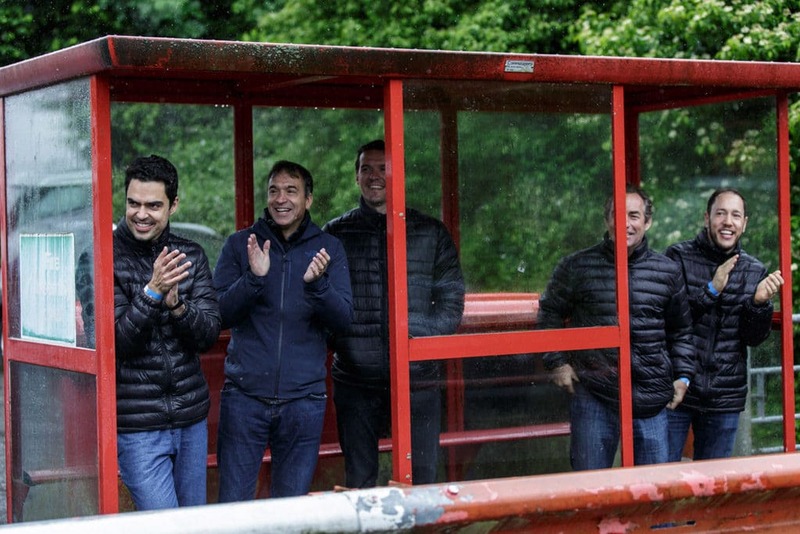 It was a dull and damp day on Tuesday 11th August, but that did not dampen the spirits of the 40 RWE delegates who visited us at Drivetech for for one of our multi activity corporate events in Wiltshire. 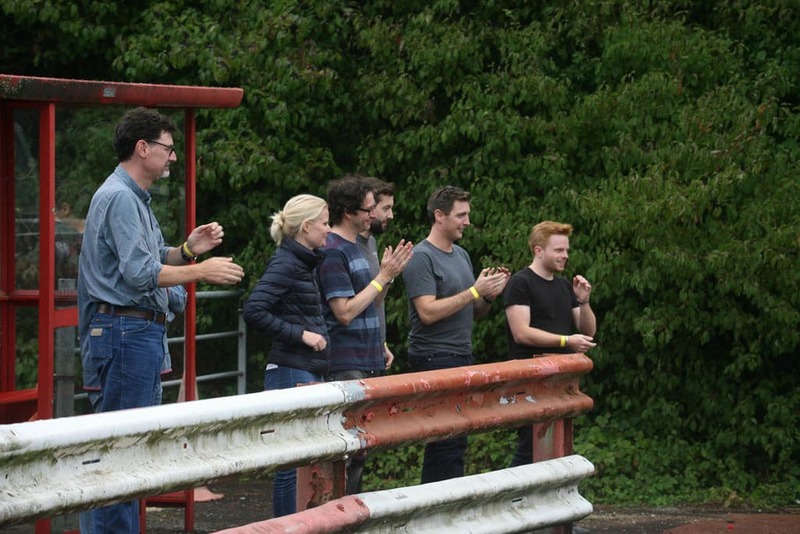 The RWE staff took part in Super Sensational Skid Pan time Trial Challenges, Marvellous Muddy 4×4 Off Road adventures, Adrenaline packed Karting, and Realistic Rally Driving. It’s safe to say that everyone had a fabulous time and we certainly enjoyed hosting the day, and providing the corporate activities. Here are some pictures of the exciting things on offer on the day, and a load of happy faces! Drivetech are based at Castle Combe Racing Circuit and we offer fantastic driving activities to groups of all sizes. If you are planning a corporate event, or team building in Wiltshire, feel free to get in touch and hear more about the activities we can provide in a fun packed activity day. 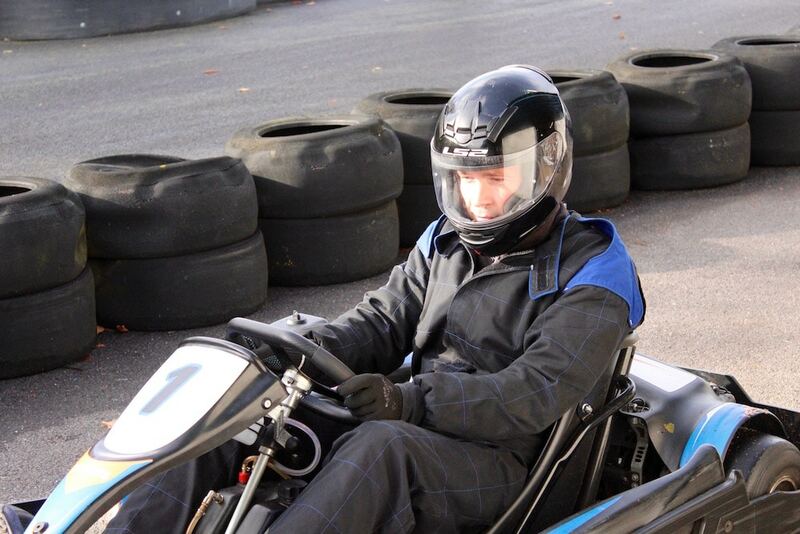 Call Drivetech on 01249 783010 for more information about our corporate events and team building in Wiltshire. 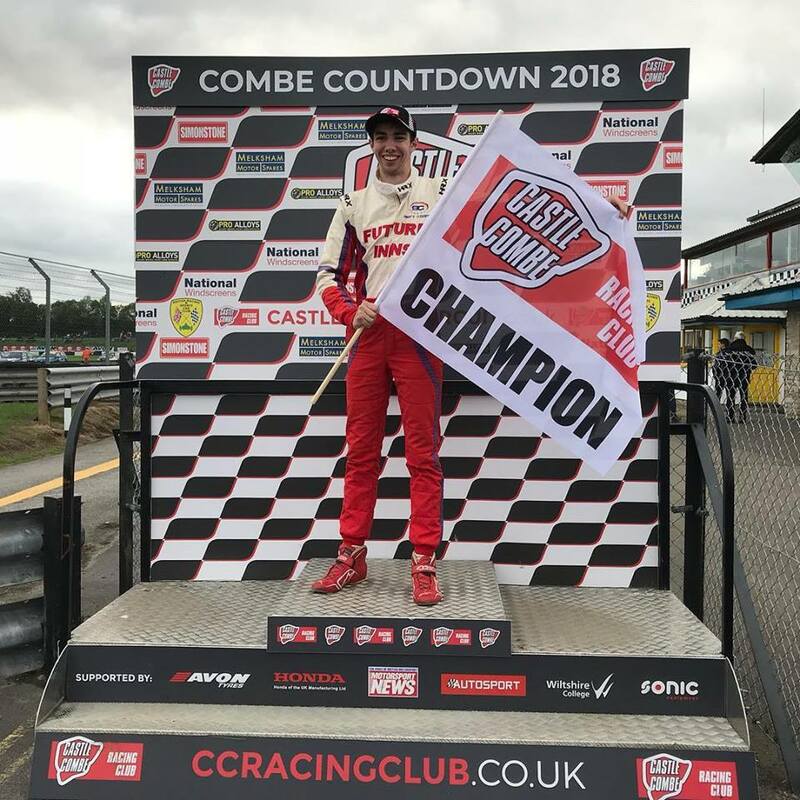 Breaking News, DriveTech driver and resident instructor Luke Cooper has been Crowned 2018 Castle Combe Formula Ford Champion! Here’s Luke holding the championship flag at Castle Combe Racing Circuit. Congratulations Luke, we are all so proud of you! 1:1 Coaching For Juniors & Adults are now available with Drive Tech resident expert Luke Cooper. The harmony between driver and his machine is vitally important for successful racing or getting the maximum enjoyment. Knowing the characteristics of the vehicle and how to adapt your style to extract the most from it are all skills that Luke can teach. 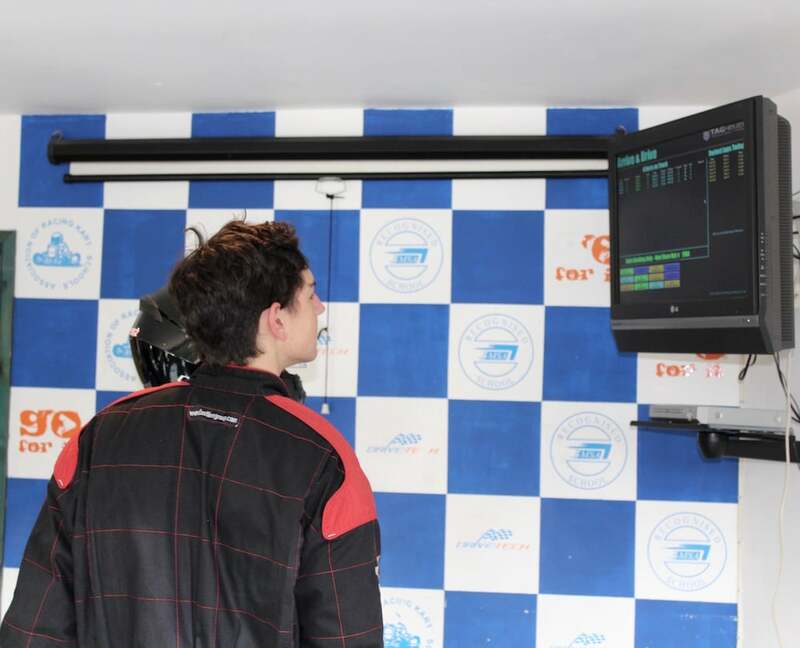 If you want to improve your technique and gain a better understanding of the karts capabilities then one to one coaching is ideal. Packages from £300. Please speak to Luke for more advise on 01249 783010 or contact us here. We’ve just received a lovely comment over on our Drivetech Facebook page from a very happy 4×4 driving customer! We’re so pleased that you enjoyed you 4×4 driving experience with us Pete and thank you for giving us your lovely feedback. If you would like to know more about our 4×4 off road experiences or any of the driving activities we offer, please don’t hesitate to get in touch. 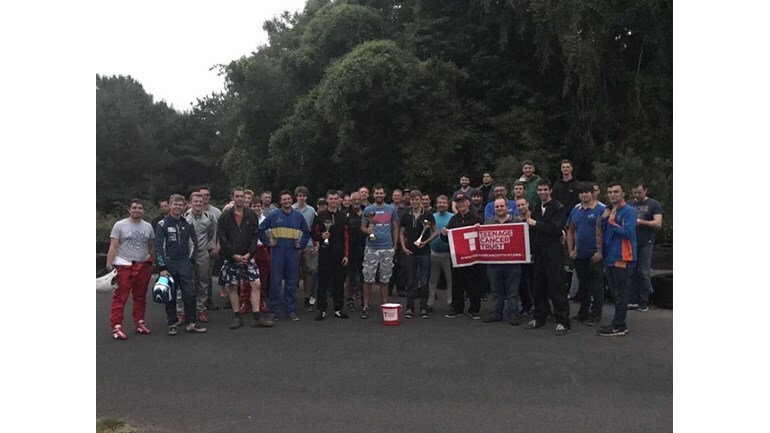 The Karting Challenge was an incredible event and in total over £2,300 has been raised so far, which is a fantastic amount and will help provide life-changing care and support so young people don’t have to face cancer alone. Round 1 of the Castle Combe Junior Autumn Karting Championship takes place on Sunday 5th August, it is a 1.30pm start. You can enter by giving the office a call or by entering through the website. We are doing our special offer of buy 4 sessions and get a 5th one free again, the cost of this is £144. We also have a 1 to 1 Race Training Session on Sunday 29th July, which is a 1 hour long session with one of our expert racers. We work with each individual driver to improve an aspect of their racing, whether it is to improve overtaking, defending, speed, consistency or something else. The hour includes 5 track sessions. This event is extremely beneficial and is almost full up already, so be sure to send a message if you would like to take part. The cost is £50 for the hour session. Please get in touch if you have any questions, of if you would like to book into the events. Checkout this awesome video filmed and produced by a recent customer (Daniel Gayler). It certainly looks a though Daniel enjoyed the off road driving experience he did with us that day! 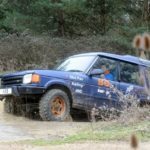 To find out more about the Drive-Tech Ltd off road driving experience, please get in touch or click here to buy online. The sun is out and everything is going well out Drive-Tech Ltd!! The TripAdvisor reviews have been rolling in thick and fast and it’s lovely to see how our customers are enjoying their time with us. 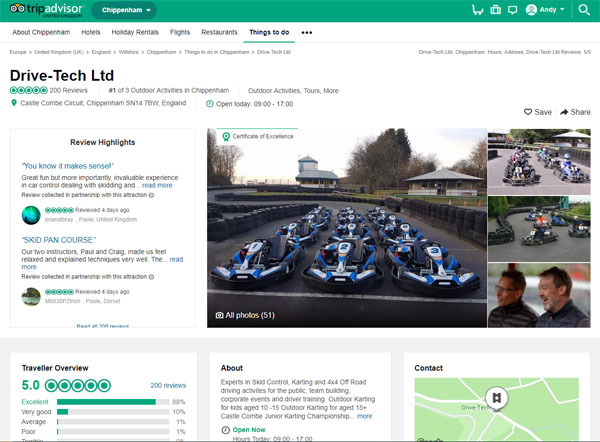 Whether it’s Go Karting reviews, Skid Pan or 4×4, the feedback is glowing! We had an amazing time at the Go Karting track at Drive-Tech. The karts are brand new and really fast. I loved the outdoor track and the viewing gallery. The staff were really friendly and helpful. I’ll definitely be going back! This was a blast of a present. The instructor was excellent with loads of advice,explanation, calm and really made the visit. He tailored the driving course to my abilities and learning and comfort zone which increased as time went on. I could have spent all day there. The instructors were really good. And the driving was really good fun. I was happily surprised that I spent so much time in the car. Checkout this recent video for the 2017 IST Charity Karting Challenge in aid of Teenage Cancer Trust which has just been uploaded to the Drive-Tech Ltd YouTube channel. The event took place last year and was an invitational event that attracted 49 drivers, that consisted of Champions, racers and journalists from Club Racing in the UK. 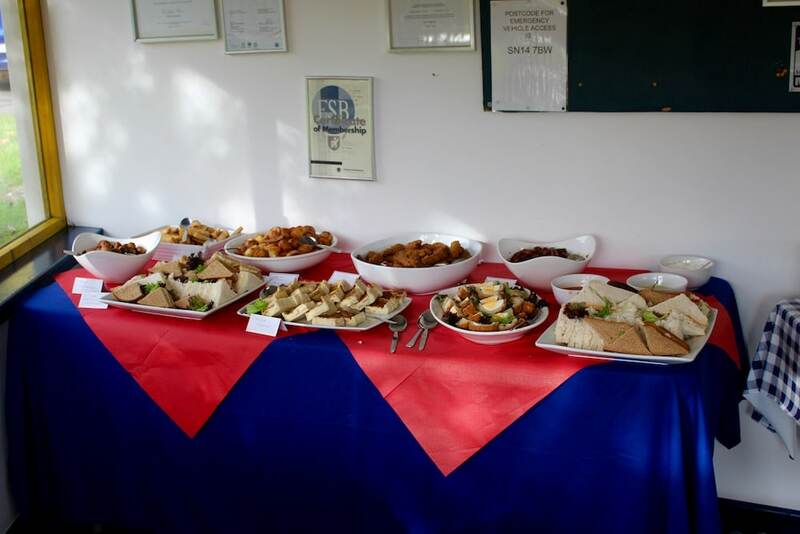 The event managed to raise £2711 for a brilliant Charity. For more information about our karting events and facilities, please get in touch. Beast from the East Part 3? 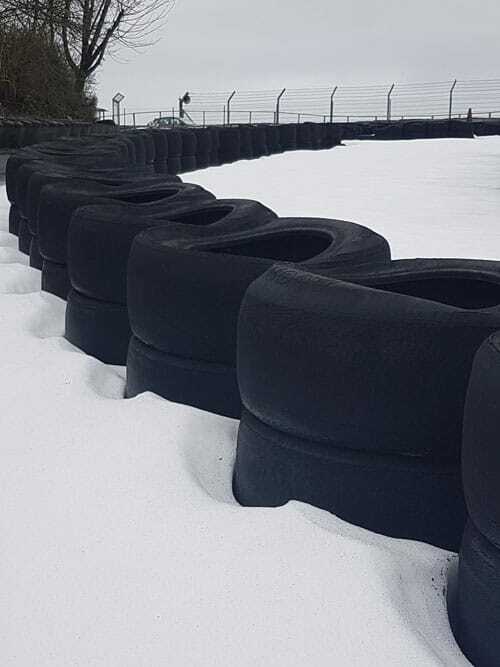 The Beast from the East has not been kind to us at Drive-Tech with our Junior Karting Championship having been cancelled for the last 2 sessions. Whilst we endeavour to operate in all weathers the beast has rendered our kart track unsafe. We appreciate that our Junior Racers may be missing out on vital championship points but safety is and always will be paramount and the main priority. Whilst the current cold snap is expected to end soon and British Summer time begins at the weekend when the clocks go forward by an hour it is highly unlikely that the weather conditions will mirror the change! The Beast may be coming back for a third time and forecasters are warning of a white Easter and guess what? Our next Juniors is on Easter Sunday! The Drive-Tech Team have all their fingers crossed in the hope that our junior racers can at least get some track time over Easter. Whilst all this snow is around if you have a skid pan voucher and you are yet to book onto a date now would be a great time to book up as with all this unsettled weather and with more snow and heavy rain predicted, you never know when you are going to need those vital skid control skills learned on one of our courses. Vouchers can be bought at any time of the year for your loved ones but did you know you don’t need a voucher to book onto a date, you can just call a member of our team on 01249 783010 Mon – Fri 10am – 4pm or get in touch here, and get yourself on a course at any time. With the uncertainty in the forecast for the Easter Weekend now would be a good time to learn those vital driving skills needed for getting you safely to your friends and family this Easter. 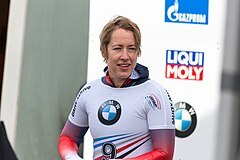 Congratulations to Lizzy Yarnold and Laura Deas – We Hope your Skidpad Training Day Helped!! Congratulations to GB Olympic Team on their Success! 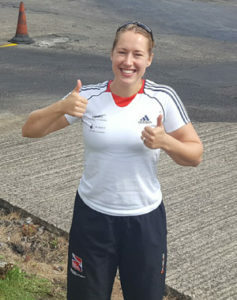 Olympic Athletes from the Great Britain Bobsleigh & Skeleton Association based at the University of Bath visited us during the course of their training for a skidpan training day. They spend a lot of their time training in a cold climate. Being able to drive in icy conditions is an important skill in getting them safely to their training sessions. After listening to what the athletes wanted the team at Drive-Tech created a bespoke skidpad train day. This was designed to teach vital driving skills required for the conditions the athletes would experience. No matter how good we think we are as drivers, heavy rain, ice and snow reduce traction, manoeuvrability and visibility making it easy for any car to skid. At Drive-Tech we offer two levels of skid pan course. This course covers the process of learning basic Skid Control techniques and is a good safe environment to test your skid handling skills. Our training course is great fun and educational driving both rear wheel and front wheel cars. Our experienced instructors will show you how to react to poor weather conditions and put you back in control. This is a more detailed course covering advanced techniques covering all the defensive driving of the standard Skidpan Course. We also cover understeer and oversteer, ABS braking, 4WD in depth. If you would like to learn more about our skid pan courses please call 01249 783010. The 2018 Karting Championship kicks off this Sunday, 4th February and is a 1.00pm start time at Drive-Tech Ltd. The costs remain the same for this year at £36 per race entry and we are running the offer again to enter 4 rounds and get a 5th free for £144. We have a new prize for the Champion this year, which is a race weekend in the Tyro Junior Karting Championship. This is a great opportunity for our champion to make a step up into racing on a MSA Circuit as a stepping stone between our karting and full MSA Racing. If anybody is looking for a bit of extra practice we are running an Arrive and Drive on Saturday 10th February, which costs £15 per 10 minute Session. It is running from 10.00am until 4.00pm. If you have any queries about the Karting Championship, please don’t hesitate to give us a ring on 01249 783010. Last posting dates to receive our driving gift vouchers in time for Christmas, don’t delay order today!! You can order online on this website or call the office on 01249 783010. Think! Don’t drink & Drive! Would you like to know how to drive in icy weather? Can you control your can if it starts to skid? Be safe this Winter and learn life saving driving skills at Castle Combe Circuit Skid Pan to help you control, contain and avoid those skids! It’s not just ice & snow, rain or wet leaves that can cause a skid, driver error can play a huge part. 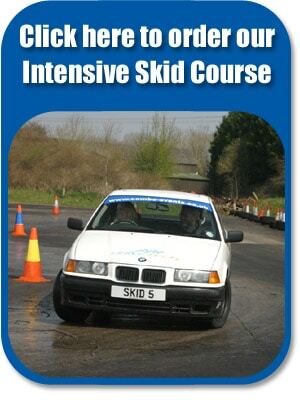 Don’t delay, give a Skid Control course as a gift to someone you love this Christmas. Our skid pan gift vouchers are open dated and valid for 18 months. They make fantastic presents for drivers of any age. Order online or call us today on 01249 783010. 1. What’s the philosophy behind Drive-Tech Ltd? To improve people’s driving skills and for them to have fun and go away having learned something new. 2. What’s the maximum group size you cater for? It’s a max of 9 drivers doing the full 3 hour course, 3 vehicles with 3 drivers per car. 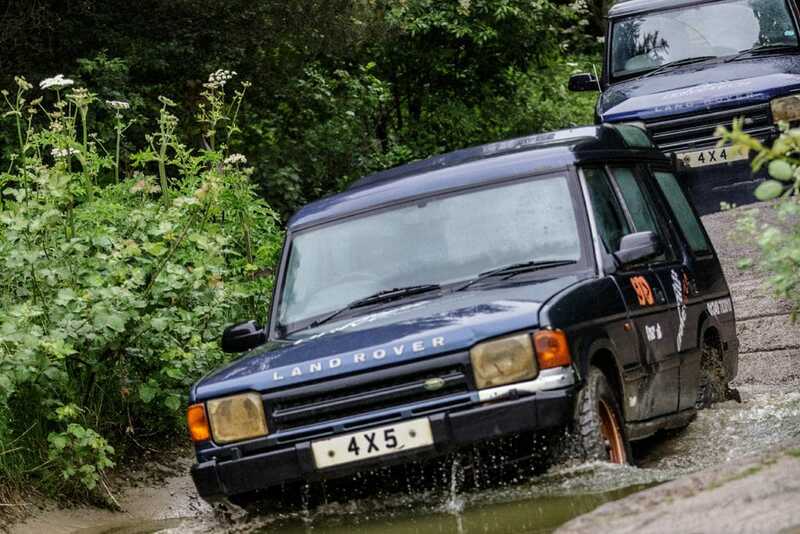 However, we can cater for more if they combine the 4×4 activity with either the skid pan or the karting. 3. Who makes the best Drivers? 5. What’s the centre’s unique selling point? Our friendly informative approach to teaching and the compact course for intensive learning. 6. What’s your most frightening experience as an instructor? I was once being taken up a hill when the customer suddenly panicked and turned left into a big clump of bushes, before coming down the slope sideways! 7. What three qualities does someone need to be a good off-road driver? Forward planning level headedness and consideration for others. 8. How much does tuition cost? 9. What vehicles do you use? They are very capable off road vehciles, they are comfortable and have forward facing rear seats. 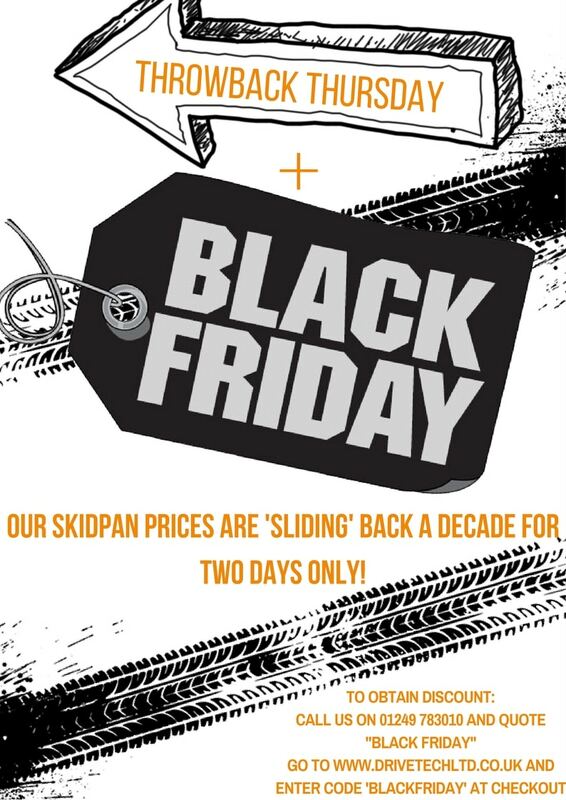 Not only are we giving you AMAZING discounts for Black Friday, but we are also sliding our prices back to last decade on Thursday! That’s two whole days of brilliant discounts. Fancy your go sliding around our Skidpan? Book using the code ‘BLACKFRIDAY’ for a special discount – the lowest our prices have been in years! Remember to use the code or you won’t be eligible for a discount! Maybe you think a family member or loved one would love the gift of skid for Christmas? We can offer great personalised vouchers to make their Christmas gift special! Last Thursday we had the thrill of welcoming RWE NPower with Giant Leap in tow to one of our corporate driving activities at Drive Tech. We think its safe to say that we didn’t disappoint! 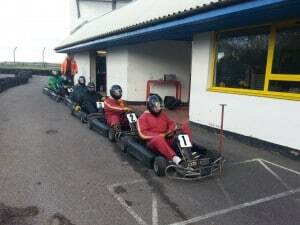 From racing around on our outdoor Karting track, to drifting on the Skid pan, to crashing through mud and water on our 4×4 course, they had it all (as well as some lovely food from our wonderful caterers!)! We look forward to welcoming you back again very soon. Looking to hold your own corporate event with us? Get in touch now via the contact form or on 01249 783010. 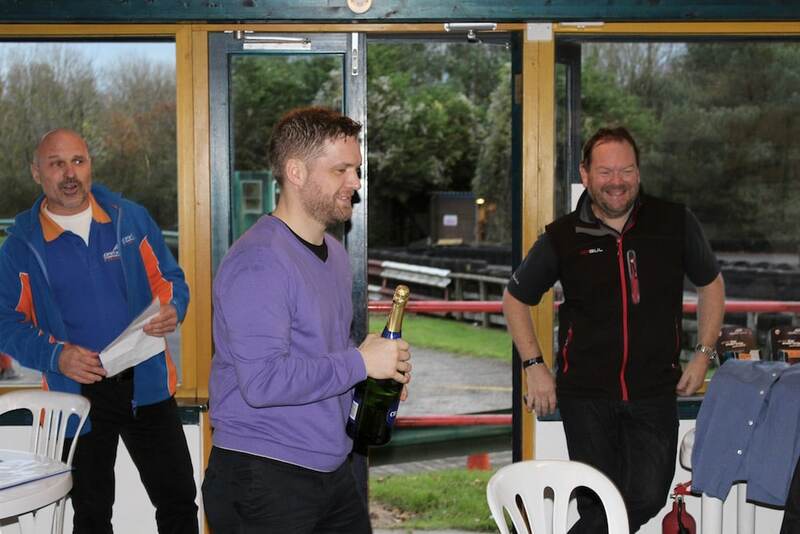 We were very pleased to welcome the Bristol engineering company IES Engineering to Drive-Tech Ltd recently for an afternoon of outdoor group go karting in Wiltshire. The team enjoyed a great, competitive Grand Prix afternoon and have vowed to be back for more very soon. We look forward to seeing you all again! 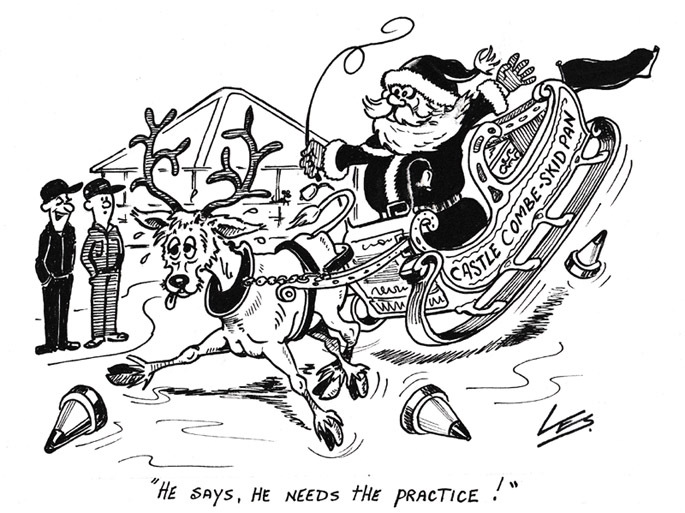 Organising a Christmas party that is fun and rewarding is always a challenge. If you’re looking for Christmas party ideas in Wiltshire, then Drive-Tech Ltd near Chippenham have some exciting options to choose from. 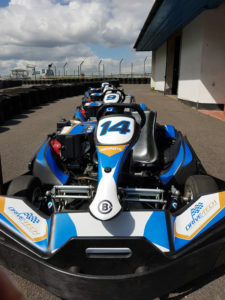 Rather than the traditional visit to a pub or restaurant why not kick your Wiltshire company Christmas party off with an exciting karting driving experience at Drive-Tech Ltd in Castle Combe, near Chippenham. You’ll all then have lots to talk about when you sit down for your turkey and wine with and everyone will be buzzing after a Christmas doo driving experience! You can come along and use our track exclusively, or if you are a smaller company, you can join us on one of our shared Christmas party days and race against other groups. The shared Christmas party days will run on 9th & 16th December, at 9am and 1pm. ENQUIRE TODAY on 01249 783010 or contact us through our website for more information. This coming weekend (15th/16th July 2017) sees Drive-Tech Ltd host the 2017 IST Charity Karting Challenge in aid of Teenage Cancer Trust, where we’ll be making use of our new fleet of Biz karts. This is the second such event, with the 2012 version having been won (in atrocious conditions) by Will Blackwell-Chambers. 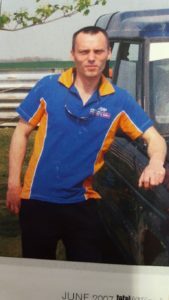 Will has gone on to achieve great success in cars, taking the 5 Club Racing MX-5 Cup last season. 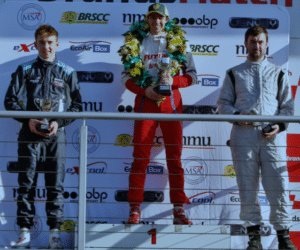 This year Will is aiming to crack the BRSCC equivalent, which means he is sadly at Snetterton rather than defending his karting title at Drive-Tech this weekend. Nevertheless, we are delighted to have a tremendous field of drivers assembled for this charity event including a number of Castle Combe legends, current and former competitors across FF1600 and a range of other categories, entrants from the Compact Cup and Porsche Championship that are visiting Castle Combe racing circuit this weekend – not forgetting an assortment of commentators and journalists that are hoping to do more than make up the numbers! This is primarily a fun event, with the key focus is on raising funds to support the Teenage Cancer Trust charity. The organisation provides support to the hundreds of young people each year diagnosed with cancer, by way of state of the art cancer units, funding expert staff, and providing the added touches that make life more bearable at such a difficult time. It is a hugely worthwhile cause and we thank you all for supporting it. Drive-Tech Ltd are donating all profits from the event to the charity. The weather forecast currently looks perfect so come along and join the fun. We have a dedicated Facebook page for the event, or you can contact us to find out more. 16 delegates from the Perform Group visited us on Monday 5th June for one of our action packed corporate driving experiences. Unfortunately, the weather was dreadful, the skies were black and the rain did not stop to come down! However, this did not dampen the spirits of the delegates who managed to keep smiling throughout their event. 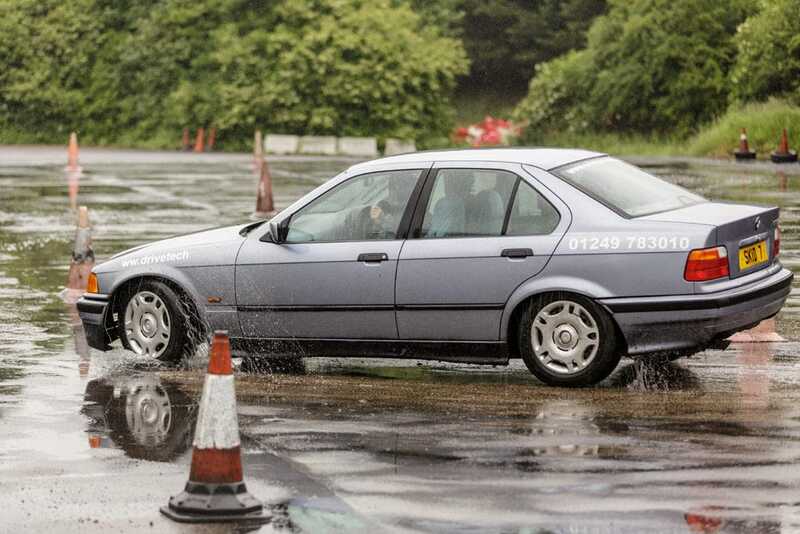 Delegates were split into 3 smaller groups and each group completed time trials on the skid pan experiencing the effects of rear wheel drive skids in BMW’s. On our 4×4 course the teams experienced ascents and descents, balancing on logs and tyres, and sheer thrill as they powered through water, and a pure adrenalin rush as they competed in timed practice laps on the karts. The groups then all came back together for a grand prix kart event to round off the day. With trophies for the top 3 drivers. For more information about the range of corporate driving experiences we offer, please contact us here. 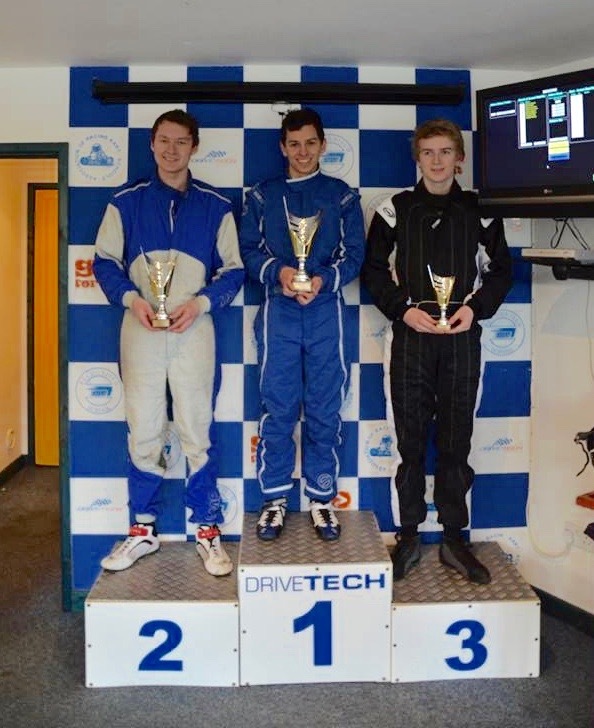 We like to say that we employ only the best and most experienced staff at Drive Tech so we were delighted when Luke Cooper – one of our outdoor go kart instructors won race 3 of the BRSCC Formula Ford 1600 Championship at Brands Hatch. Luke started his racing career racing go karts at an early age and has progressed to Formula Ford. One of Luke’s favorite tracks is Oulton Park where he came 2nd in the race despite having engine problems. On Saturday 15th July Drive-Tech Ltd are running a Charity Karting Event in aid of Teenage Cancer Trust. Saturday 15th July is a big BRSCC race meeting at Castle Combe, the charity karting event is taking place in the evening, after the main racing is finished and will feature a number of drivers racing during the day. A number of other multiple car racing champions from both Castle Combe’s local championships and National Championships will also be competing. The Event will feature 24 heats pitching the drivers against each other, before 6 Grand Finals will take place with grids based on results from the heats. The drivers who finish 41st – 48th will line up on the grid for the 1st final, with the top two progressing through into the 2nd final. 33rd-40th from the heats will make up the grid for the 2nd final, with the top two from Final 1 on the back of the grid. With Final 6 being made up of 1st-8th from the heats and the top 2 from Final 2. Each of the finals will be filmed for YouTube to help promote Teenage Cancer Trust. The Event is limited to 48 drivers, 47 of which will be made up from drivers involved in the Motorsport world, the majority of which are real race car drivers, with other entries being taken up by Motorsport journalists and Commentators. The 48th and final space in the event will be won by a member of the public. During the day on Saturday 15th July Drive-Tech will be running an Arrive and Drive. The fastest Driver from this Arrive and Drive will win free entry into the charity karting event. The Arrive and Drive will be running from 1.00pm – 5.00pm and costs £15 for 10 minute sessions, with £5 from every Arrive and Drive Session going towards Teenage Cancer Trust. For more information or to speak to someone about our karting events at Drive-Tech, don’t hesitate to contact us. 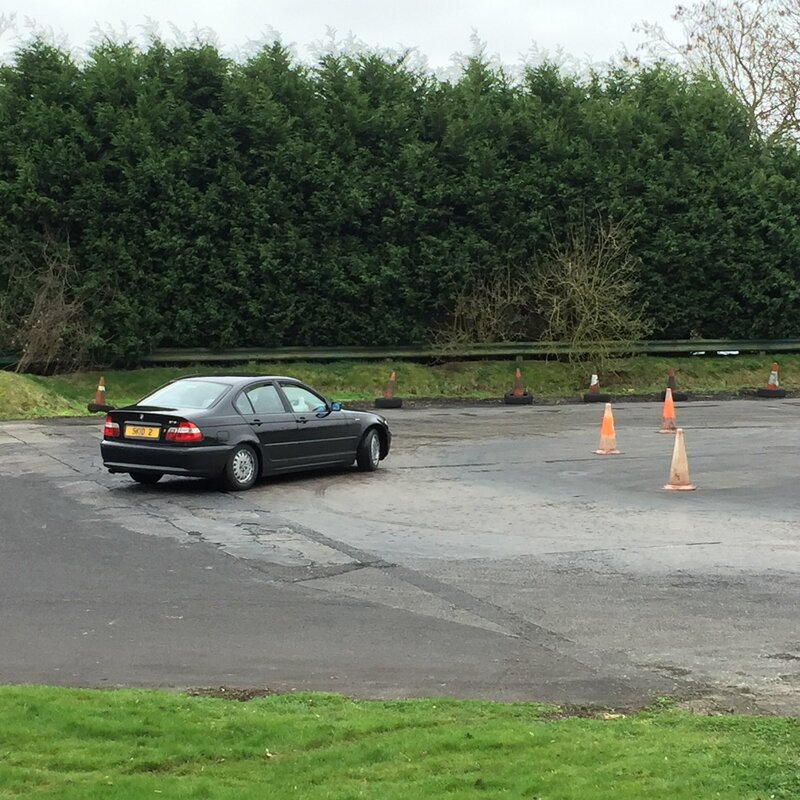 We recently entertained Elemental Health Care of Hungerford at Drive-Tech for a day of skidpan training and tuition. The day was a huge success and all attendees had a great time as well as learning life saving skid contorl skills. We’ve just received some great feedback from the group…. “Everyone had a brilliant time! We all enjoyed it so much and definitely learnt new skills. Quite a few of us were a little nervous but the instructors were really great, built confidence and were fun to be around. For more information about skidpan training and tuition, contact us through this website or phone 01249 783010. To book a driving activity at Drive-Tech Ltd just phone 01249 783010 or use our contact page. 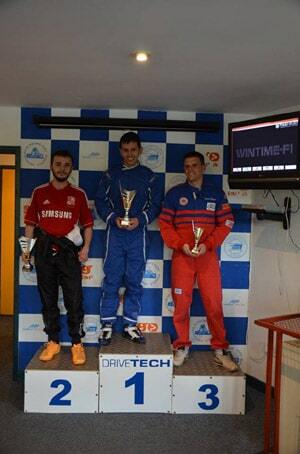 10 Minute Arrive & Drive Karting sessions at Drive-Tech in Castle Combe, Chippenham. Our sessions cost £15 per 10 minute session. You can pay cash on the day or reserve a space by calling the office on 01249 783010 or emailing luke@drivetechltd.co.uk. The next date for Arrive & Drive is 12th May 2017. Come along and join the fun!! Saturday saw round 1 of the 2017 Karting Championship at Drive-Tech in Castle Combe, and it produced a very competitive field of drivers. Lining up on pole position for the final, starring in his debut in the championship, was Matt Hallam. Last years runner up Ben Winter joined him on the front row of the grid. Reigning double champion Oliver Bayani lined up 3rd, with Michael Seabourne, 3rd in last years championship, lining up 4th. Another very impressive performance was from Andrew Fryer in his first ever round, lining up 5th on grid sharing the row with 5th in last years championship Kieran Dawson. Ed Barrs, who was 2nd in the 2013 Championship, was very unlucky being wiped out in one of his heats, but was still able to fight back and make it into the final starting 7th. With our Reigning Junior Champion Matthew Baker completing a very impressive grid. As the lights turned green it was Ben Winter who made the best start and he was able to get the jump on Matt Hallam. They headed into the first corner with Ben Winter ahead and Matt Hallam tried to fight back but it resulted in clipping the wall and spinning to the back of the field. Michael Seabourne was able to take advantage of this around the outside into 2nd place with Oliver Bayani avoiding Matt and continuing in 3rd place. Kieran Dawson was also able to take advantage and moved into 4th place with, Andrew Fryer in 5th, Ed Barrs 6th, Matthew Baker 7th and Matt Hallam continuing in 8th. The leading trio were able to pull away from the chasing pack, all three of them lapping at lap record pace. The battle for 4th was very close with Kieran Dawson holding that 4th place. 5th to 7th were bumper to bumper with Matt Hallam catching the pack back up. In the battle for the front Michael Seabourne was challenging for the lead and he dived up the inside of Ben Winter into the first corner. He clattered into the side of Ben Winter and they both lost momentum. Oliver Bayani was behind ready to take advantage of the situation, but he had nowhere to go. Seabourne and Winter exited the corner side by side and headed through the chicane, but it was Ben Winter who just held on keeping Michael Seabourne behind. Michael was not able to get close enough to Ben Winter to have another attempt at the lead, so it was Ben Winter who held on to take the victory. Michael Seabourne took 2nd place just ahead of Oliver Bayani. Kieran Dawson took 4th, Andrew Fryer 5th, Ed Barrs 6th. Matt Hallam was able to catch the pack back up and pulled off a brilliant move on Matthew Baker to finish 7th, with Matthew Baker taking 8th. The new lap record was set during the final by Michael Seabourne who went just 0.01 seconds quicker than Oliver Bayani. The new lap record has been set at a 24.77. The Championship is being led by Ben Winter on 57 points, 4 points clear of Oliver Bayani. Michael Seabourne sits 3rd a further 3 points back with both Kieran Dawson and Matt Hallam joint on 43 points. Andrew Fryer sits 6th and is the best placed Masters driver on 42 points. Round 2 of the 2017 Karting Championship takes place on Saturday 22nd April. Skid Pan Training Course for Norland Nannies! We were delighted to welcome student Norland nannies from Norland College for their regular skid pan training course the other day. Students undergo a skid pan training course as part of their degree course. The Norland course teaches them hands-on practical skills. From avoiding paparazzi with high-profile children in the back of the car to anti-terrorism training. These skills are not those acquired by regular nannies. For more information about the range of skid control and defensive driving courses we offer at Drive-Tech, please get in touch on 01249 783010 or email us at info@drivetechltd.co.uk. Round 2 of the Castle Combe Junior Karting Championship took place on Sunday and it was the first fully dry event on the new karts! So naturally the lap record was broken and set at a 25.20 by Matthew Starke. Josh Poulain was on brilliant form and won all 4 of his heats to line up on pole position for the final. Neo Mcbraida joined him on the front row. Matthew Starke lined up 3rd, with Pedro Oliveira putting in some great drives to line up 4th. Joshua Slatter lined up 5th and Jack Meakin completed the grid. As the lights turned green it was Neo McBraida that made the better of the starts and he held around the outside of the first corner to take the lead ahead of Josh Poulain. Josh was immediately under pressure from Matthew Starke forcing him to defend, which gave Neo a break out in front. Joshua Slatter dived up the inside of Pedro Oliveira at the top corner and they headed down the hill side by side. However Joshua was very unlucky and spun, dropping to the back of the pack. Out in front Neo Mcbraida was pulling away, while the battle for 2nd raged on. Josh was doing a great job and making it very difficult for Matthew to pass. Which Pedro was able to take advantage of and dived up the inside of Matthew into the chicane to take 3rd place. Pedro then replicated this maneuver a couple of laps later on Josh Poulain to take 2nd place! Josh lost momentum and Matthew Starke was able to get along side up into the top corner. They headed down the hill side by side and Matthew was able to take the place. Jack Meakin was next behind Josh Poulain and he was able to get the cutback at the first corner and take 4th place, with Joshua Slatter catching back up after his earlier spin to take advantage and move up into 5th. A very exciting race that all happened behind Neo Mcbraida who drove faultlessly to take a very well deserved win. Pedro put in great drives all day to take 2nd place and with it the driver of the day award. With Matthew Starke completing the podium, taking the Fastest Lap of the day and the Lap Record. 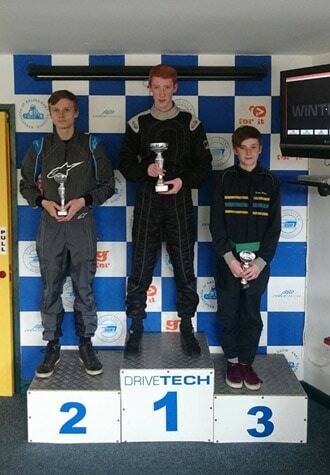 Jack Meakin took 4th place, Joshua Slatter 5th and Josh Poulain 6th, but took home the biggest points haul of the day. In the Championship Matthew Starke leads the way, but only 2 points clear of Josh Poulain. Jack Meakin and Harry Sadler sit just 2 points further back in 3rd and 4th with Neo Mcbraida a further point back in 5th. Joshua Slatter heads the best novice championship for drivers in their first championship with us, by sitting 6th in the overall championship just 10 points off the lead. The next round of the championship is on Sunday 5th March, we hope to see you then. Checkout this great video showing the final of round 1 of the Junior Karting 2017 at Castle Combe. There are some great onboard views that show the fantastic speeds that our new karts are achieving. Contact us on 01249 783010 for more information about our junior karting championship or email info@drivetechltd.co.uk. Check out this great video showing Round 5 of the 2015 Karting Championship at Drive-Tech Ltd in Castle Combe. It really shows off what a fantastic outdoor karting track we have here. 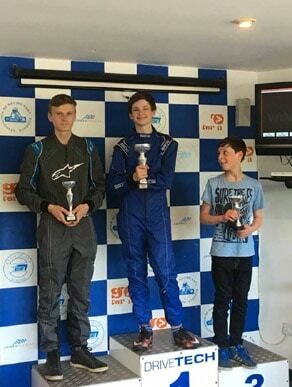 Sunday held the penultimate round of the 2016 Autumn Junior Castle Combe Karting Championship. It was very tricky conditions with half the track dry and the other half wet. Heading into the round there were still 3 drivers left in the hunt for the championship and all 3 of them made the final. Lining up on pole position for the final was championship leader Matthew Baker. He was joined on the front row by Josh Poulain, who has really excelled in his first championship. Harry Sadler, 2nd in the championship, started 3rd. Josiah Lockett, the reigning champion, returned for a one-off outing lining up 4th despite bad luck in the heats. Jake Bishop, sitting 3rd in the championship, lined up 5th with Jack Meakin completing the grid. It was Josh Poulain who got the jump off the line and led into the first corner. The first corner was still very damp and it was Harry Sadler who got the best run out of the first corner, overtaking Matthew Baker for 2nd and pulling alongside Josh Poulain for the lead. Harry was able to make the move and take the lead, with Josh Poulain, Matthew Baker and Jake Bishop all getting extremely close together at the chicane. Josh and Jake got caught up on the damp track, with Jake spinning and Josh dropping down to 5th. This meant Harry Sadler already had a commanding lead out in front, with Matthew Baker back up to 2nd, Josiah Lockett 3rd and Jack Meakin 4th. Matthew was trying hard to catch his championship rival, but tried a bit too hard having a half spin at the first corner. This allowed Josiah through into 2nd place, but Matthew fought straight back and they went through the chicane side by side. Matthew was able to get a better run out of the chicane and retake 2nd place. Jack Meakin got involved in the action too and pulled off a brilliant move at the top corner, taking 3rd place. Jack then set his sights on trying to find a way past Matthew for 2nd place. A brilliant battle took place with Jack and Matthew trading places multiple times over the next few laps. Jack was eventually able to make the move and open up a small gap over Matthew. However all of the battling allowed Harry to open up a big lead and come through to take a great victory. 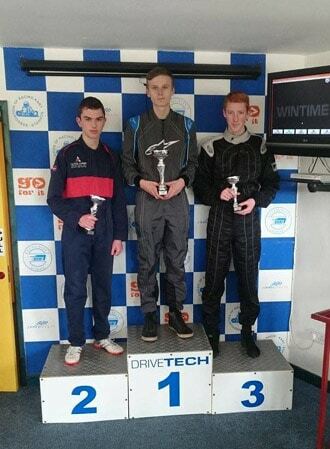 Jack Meakin took a best ever finish of 2nd in the final, with Matthew Baker 3rd. Josiah Lockett was 4th, Josh Poulain 5th and Jake Bishop 6th. The fastest lap of the day went to Matthew Starke, who just missed out making the final. While the driver of the day award went to Jack Meakin. The championship is now a two horse race between Matthew Baker and Harry Sadler. Harry sits just 5 points behind Matthew, while Jake Bishop sits 14 points further back in 3rd, now out of the running for the championship. Josh Poulain has jumped up to 4th in the overall championship now, while also opening up a healthy 15 point lead in the Best Novice Championship. The final round takes place on Sunday 18th December. A special milestone will be passed at Combe Karting on 20th December when the company waves the chequered flag on its KartPro Stratos karts after 16 years of hard service, before brand new ones arrives in January. On hand to mark the occasion as Race Director is Max Tyler, who also holds the distinction of being the first Race Director for the old fleet when they were introduced in May 2000! Combe Karting will continue to offer its successful blend of Corporate, Public and Junior racing sessions. It has always been the training ground for many young racing drivers, with a Junior Racing Club whose success is the envy of the south west. Young karters move on to star in kart and car racing at regional, British and International level, and so it is particularly appropriate that the next fleet of karts will be launched at the start of the 2017 Junior Racing Championship on 4th February. 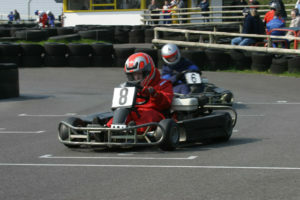 For more information about racing at Combe Karting telephone 01249 783010 or online at www.drivetechltd.co.uk. 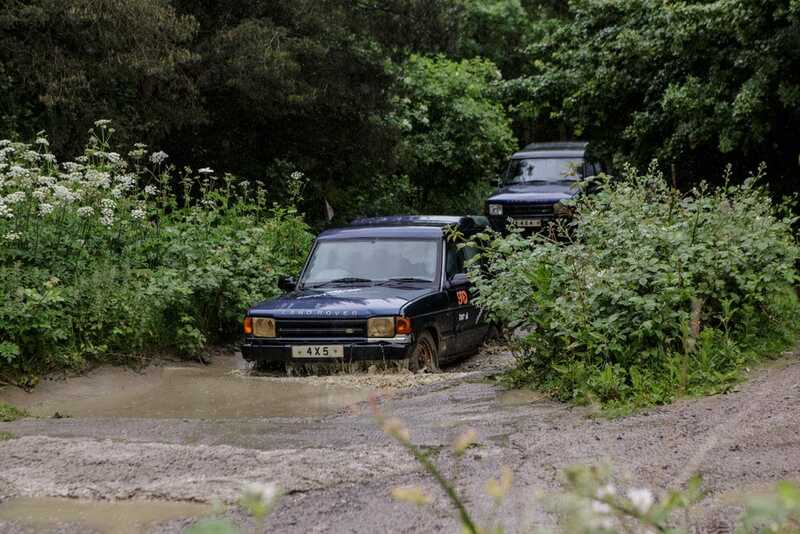 The great Trip Advisor reviews keep coming in for the Drive-Tech skid pan experiences! I think this training course should be an experience to add during the process to get the driving license. Everybody should experience what drifting is and how to act when it happens. The instructors were really nice. 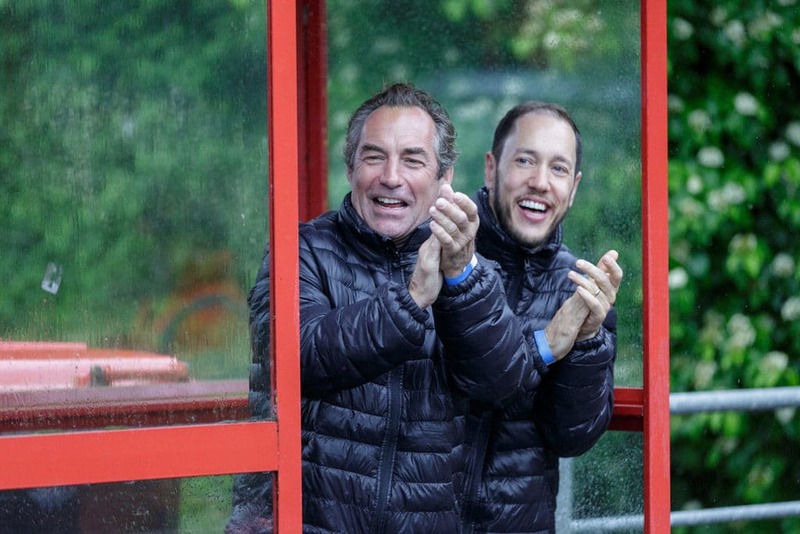 Both Daves were experienced in the matter and made our time there really fun and enjoyable (despite the freezing weather in November…). Very good experience, excellent instructors.I did a group experience followed by an individual lesson.The individual lesson was the best value with 3 hours driving and instruction and suited my needs best as I`m doing motorsport.Tea and coffee on tap was great and warm classroom as weather awful! Lots of fun skidding, lots of learning and a challenge at the end. What’s not to like! It was all in a very relaxed atmosphere. The instructors are super friendly and funny too. I was a bit apprehensive at the start but now can’t wait to do it again. 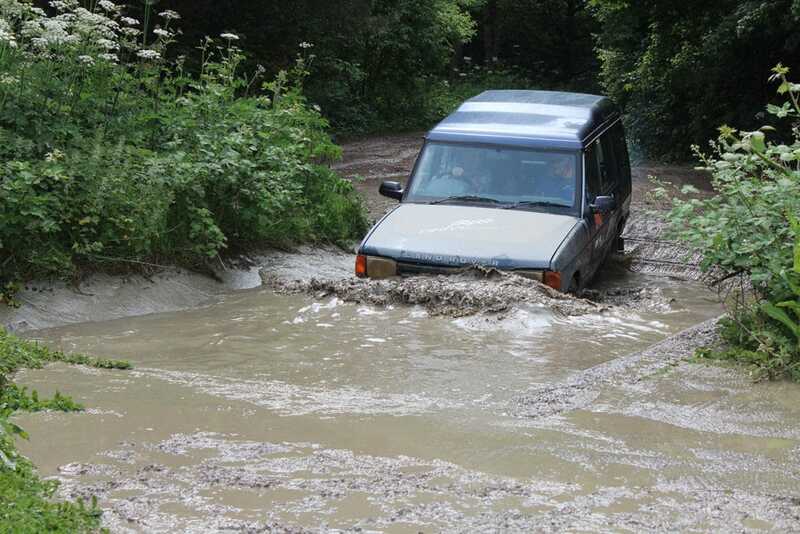 The great Trip Advisor reviews keep coming in for the Drive-Tech skid pan experience! Check out our latest TripAdvisor review for a Skid Pan experience from 21/11/2016! The Skid pad was great fun and hopefully I will never need it but I would like to think I have that skill in the bank now! Suitable for all ages and driving experience – excellent gift idea too! We love hearing from our visitors, so if you’d been to us for one driving experiences please tell the world what you thought on TripAdvisor. A prototype of our brand new, bespoke, high speed Go-Karts was tested last week for gearing on our outdoor track. It was a huge success and we can’t wait to get delivery of the new Go-Karts in January. Watch our website for updates on the progress on delivery dates. Vouchers can be purchased now for January 2017 here. 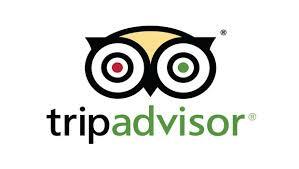 Here at Drive-Tech, at Castle Combe Racing Circuit, we love TripAdvisor. We get loads of great feedback from our customers who have enjoyed a great day karting, on our skidpan, or on our 4×4 course. Contact us for more details about the fantastic driving experiences we offer. Driving Experiences at Castle Combe Circuit – a Great Christmas Present! With Christmas approaching many will be looking for present ideas. Drive Tech offer a wide range of driving experiences at Castle Combe Circuit for all ages. Why drive on the road when you can have so much fun off it? For anyone looking for some ‘extreme’ fun, nothing can compare to the thrill of an Off-Road driving experience. 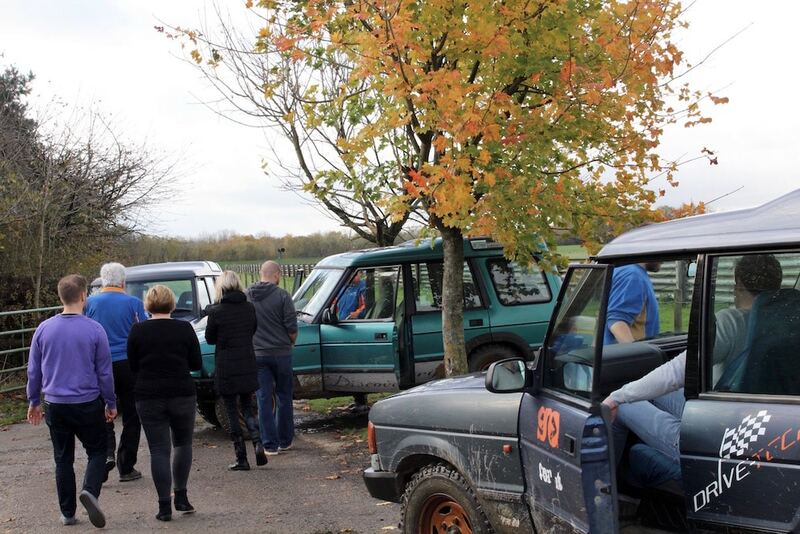 An off road 4×4 driving experience at Castle Combe allows you to tackle tough terrain on board a hardy Land Rover. Off roading is the perfect way to enjoy good clean muddy fun with sharp turns, traverses and deep ruts to get the adrenaline pumping. 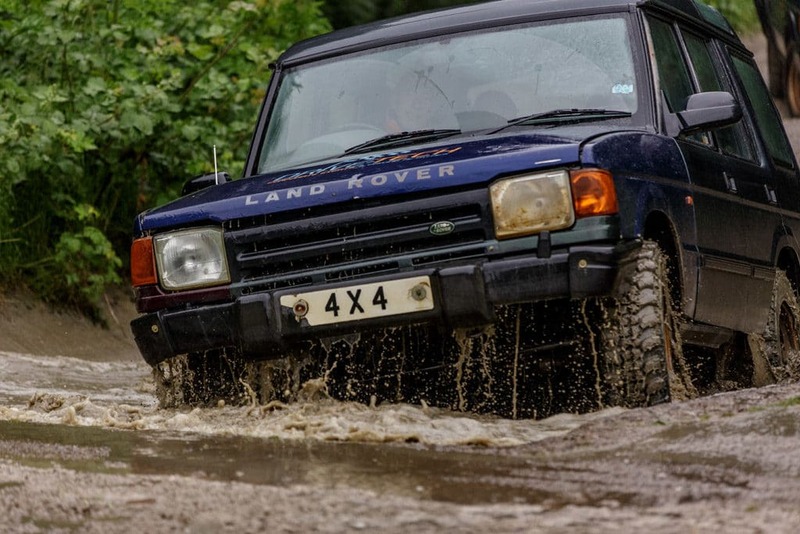 Negotiate water crossings and steep gradients as you learn a number of essential 4×4 driving techniques. 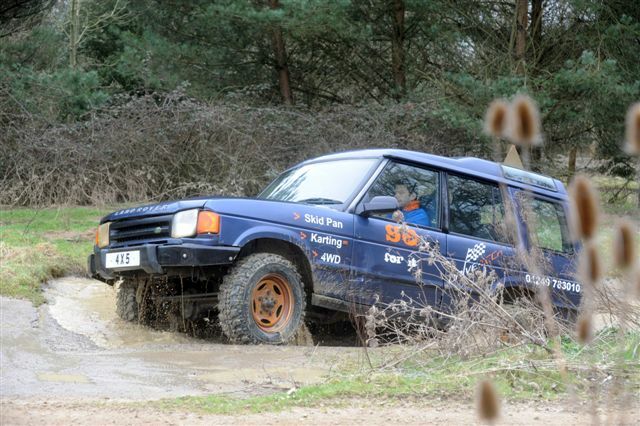 Our highly experienced instructors will show you exactly what a Land Rover Discovery is capable of. If you have never driven a 4×4 before don’t be put off, although they look intimidating they are some of the safest cars around and great fun to drive. Outdoor karting is about as real as it gets. Adjust your driving skills to suit the weather on our 350 meter long MSA approved track. 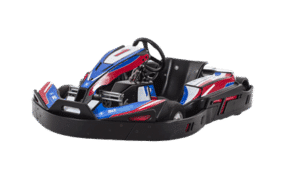 We have fast challenging corners and with go karts averaging speeds of up to 30mph you’ll find this is a serious step up from indoor karting. We have brand new fleet of karts on order with each kart is being custom built to our own specification. These new karts are going to fly around Drive-Tech’s outdoor kart track. Keep an eye on our website for news on their imminent arrival. We will help you develop the skills needed to correct and control a sliding car, a situation that you may encounter on the public roads. This is a realistic and effective process of learning Skid Control techniques and the ideal safe environment to test your handling skills. 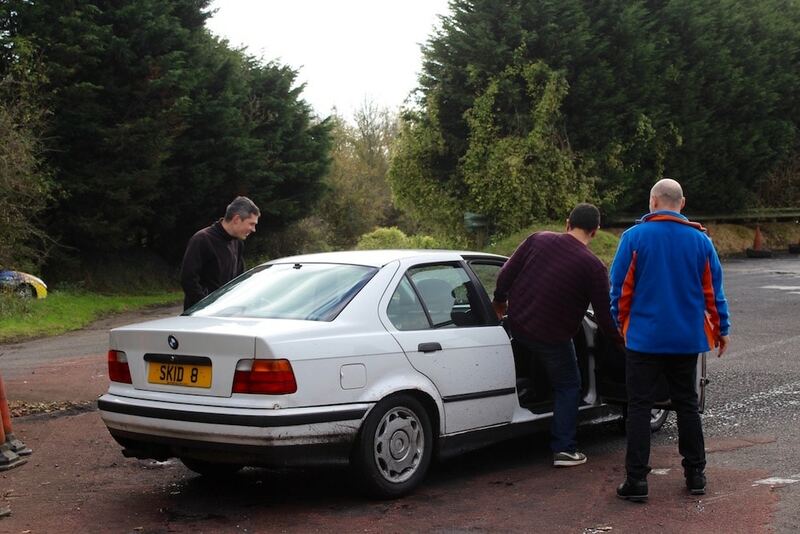 Our Skid Pan training course is great fun and educational a must for all drivers!. You will be driving standard rear wheel drive and front wheel drive cars. Our expert instructors will show you how to react to adverse conditions and put you back in control. Book your Skid Pan Training at Castle Combe Circuit to Prepare Yourself For This Years Forecast Big Freeze! 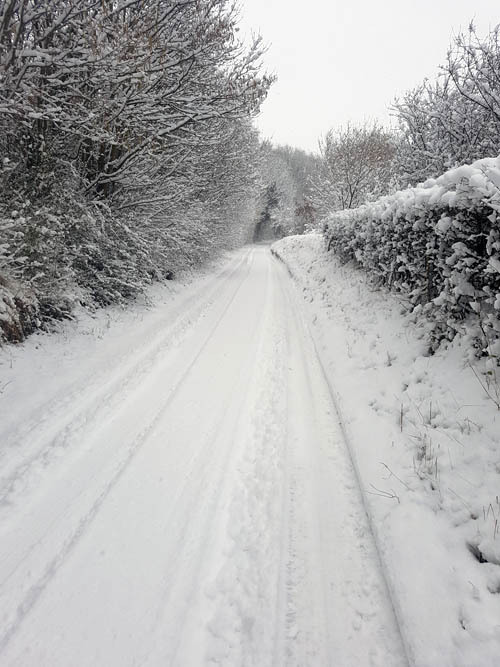 According to leading forecasters the UK is facing the heaviest snowfalls in years this winter as the country’s first icy blast arrives in November. They predict this will unleash four months of heavy snow and sub-zero temperatures. Now is the time to get a skid pan training at Castle Combe Circuit day booked! Temperatures are about to plunge amid predictions of heavy snowstorms and major whiteouts lasting into February. 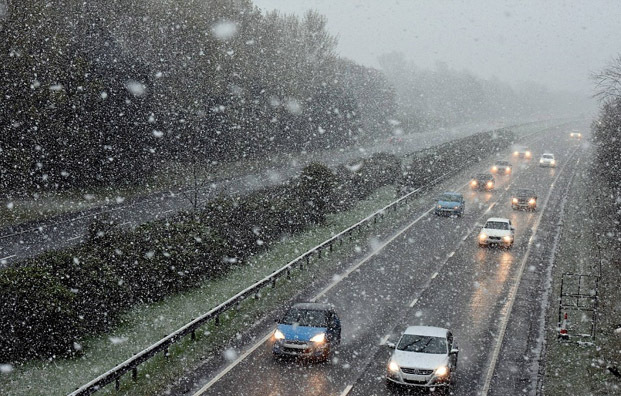 Weather Experts warn to expect a very “exciting” December. They are even hinting at the possibility of a White Christmas this year. 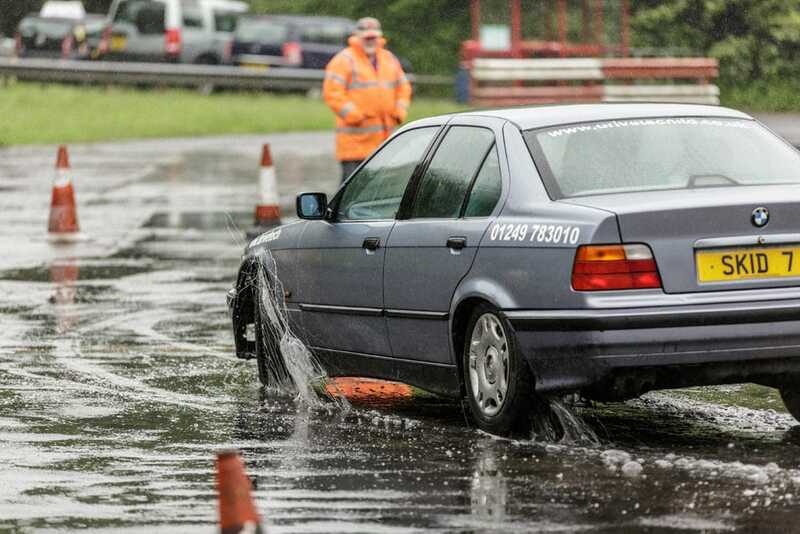 In fact Skid Pan Training at Castle Combe Circuit would make the perfect Christmas present! After several mild and wet winters 2016 will buck the trend with the UK now facing the coldest and snowiest for at least six years. Britons are warned not to be lulled into a false sense of security by the unusually hot September weather and the mild autumn so far. A dramatic swing towards colder conditions will see temperatures plummet across the country as freezing air sweeps in from the North Pole. 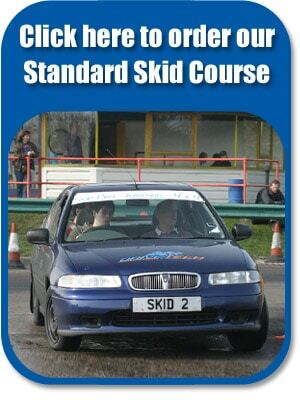 Our Skid Control course is great fun and an educational must for all drivers. In a safe and controlled environment we will help you develop the skills needed to correct and control a sliding car, a situation that you may encounter on the public roads. Not only is this great fun, but more importantly a hugely worthwhile investment in your own and your passengers safety. You will be driving standard rear wheel and front wheel drive road cars. Our experts (who are mostly ex police drivers) will show you how to react to adverse conditions and put you back in control! For more information about our range of Skid Pan Courses contact us on 01249 783223. 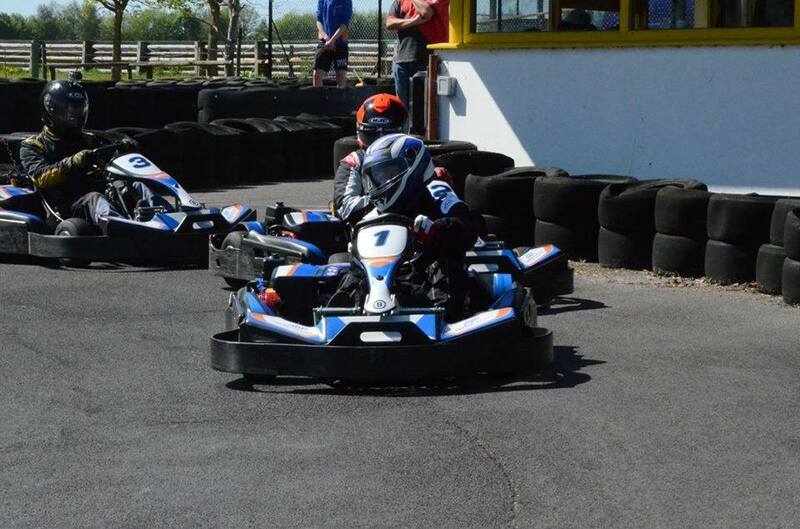 A new fleet of karts is on order for our outdoor kart track at Castle Combe, and the countdown has started…. 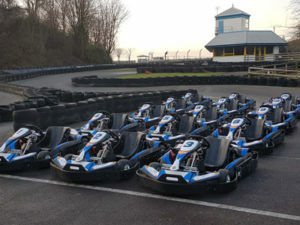 Drive-Tech at Castle Combe are pleased to announce they will soon be taking delivery of a brand new fleet of karts! Manufactured by BIZ karts and based on their NG1 model, each kart is being custom built to our own specification. Using technologically advanced components and materials to suit the commercial karting, these new karts are going to fly around Drive-Tech’s outdoor kart track at Castle Combe! High quality kart production, durability with great handling characteristics are just some of the features of the new fleet. We will continue to keep you updated as the delivery date for these awesome new karts gets closer. 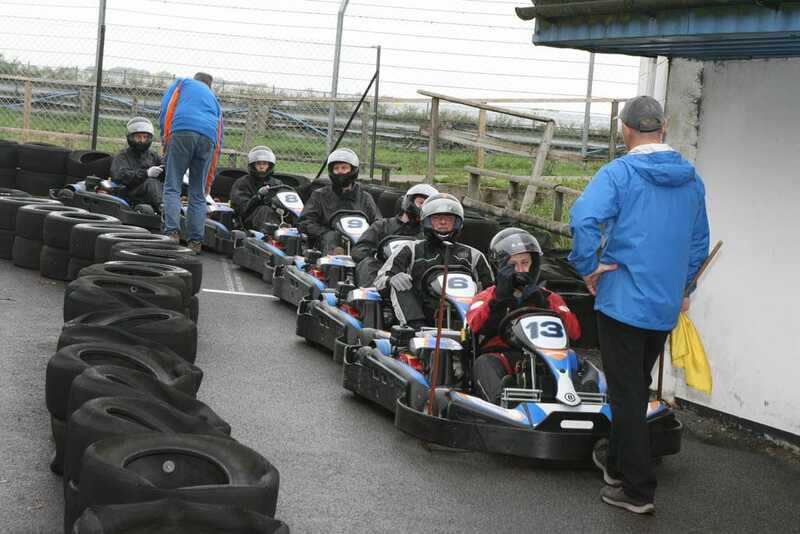 To book a session on our outdoor kart track at Castle Combe Circuit, please call 01249 783010 or order online here. 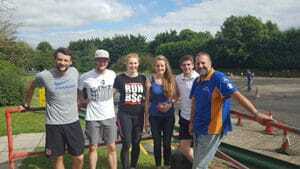 Olympic Athletes from the Great Britain Bobsleigh & Skeleton Association based at the University of Bath have just visited the Skid Pan here at Castle Combe before they head back out on the ice training this September. Their September excursion will take them to the Swiss Olympic Training Centre followed by another at the Sestriere Ice House and Tornio Olympic track. Spending time on the ice is vital to their chances of success. So being able to drive in icy conditions is a vital criteria in getting them safely to their training sessions. After listening to what the athletes wanted the team at Drive-Tech created a bespoke course designed to teach vital driving skills required for the conditions the athletes would experience. This course covers the process of learning basic Skid Control techniques and is a good safe environment to test your skid handling skills. Our training course is great fun and educational driving both rear wheel and front wheel cars. Our instructors will show you how to react to adverse conditions and put you back in control. This is a more detailed course covering advanced techniques covering all the defensive driving of the standard Skid Course. We also cover understeer and oversteer, ABS braking, 4WD in depth. The Great Britain Skeleton and Bobsleigh teams had a fantastic time at Drive-Tech and have left with some extremely valuable driving skills. 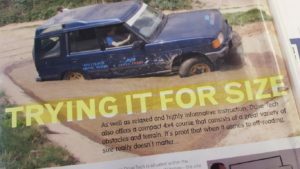 Check out these skid pan videos of the experiences on offer here at Drive-Tech Ltd. We offer courses for beginners and intermediates and these experiences make fantastic gifts for a special occasion. They are also superb team building events or hen and stag do activities. Unfortunately due to insufficient numbers the parent and junior races scheduled for 24th July has been cancelled. We’re now under a month away from one the highlights in our kart racing calendar, the parent and junior karting races!! Our parent and junior races are for existing junior drivers who are already racing in our karting championship. The parent and junior event takes place on Sunday 24th July starting at 1.30pm at Drive-Tech, Castle Combe Racing Circuit near Chippenham. On the day, juniors will pair up with their parent/guardian (anyone aged 16+) and score points for their team. Juniors still race against juniors and the parent/guardians race against each other. The scores are then combined and the top 3 teams are awarded trophies on the day. This is an ideal chance for the parents to show their children how it is done!! Contact the Drive-Tech office on 01249 783010 or email info@drivetechltd.co.uk to book your place. We are sorry to announce that the Avon & Somerset Police Cadets Road Traffic Collision Demonstration planned for the 18 June at the Bath & West Showground has been cancelled and postponed indefinitely, possibly until April / May next year, hopefully still at the Bath & West Showground. This is due to South Western Ambulance Service and several of the cadet units being heavily committed elsewhere. Sunday saw the penultimate round of our junior karting competition, the Spring Junior Karting Championship. The sun was shining once again and much like Saturday t he track was very quick with plenty of lap times in the 23 seconds. Josiah Lockett headed into the round with a 1 point lead over Matthew Baker, but with Matthew Baker not in this round it was all up to Josiah to improve. However Harry Sadler and Jacques Flanders were both there to stop him and improve their own points and keep themselves in the championship battle. It was Josiah Lockett who lined up on Pole Position for the final, with Harry Sadler alongside him, Alex Acton and Neo Mcbraida shared the 2nd row, while Jacques Flanders and Jaden Mcleary, in his first race meeting, completed the grid. Josiah and Harry both got good starts, but Josiah held the lead into the first corner, it was Jaden Mcleary who made the best start though and he was able to catapult himself into 3rd place! It was a train for the lead with Josiah fending off Harry, but Jaden Mcleary was looking very quick in 3rd, trying to find a way past Harry. Unfortunately Jaden made a mistake and dropped back to 4th, with Neo Mcbraida taking 3rd. It became a 3 way battle for the lead with Josiah still fending of Harry and Neo right behind in 3rd. Jacques Flanders was able to fight his way past Jaden into 4th place and set about catching the top 3, but it was a big gap to close. Harry was trying everything he could, but Josiah defended brilliantly and held on to take the win. Harry pushed him over the line with Neo just behind. Jacques closed up massively at the end but was not close enough to make a move and took 4th, with Jaden taking 5th and Alex Acton 6th. Harry Sadler took the fastest lap of the day, and Jaden Mcleary took the Driver of the Day Award in what was a brilliant debut into the championship. The 10th and final round takes place on Sunday 19th June. Round 2 of the Castle Combe Go Karting Championship took place on Saturday and it contained some absolutely brilliant races. Michael Seabourne returned to the championship in fine form, lining up on pole position with Reigning champion Oliver Bayani alongside. Kieran Dawson put in a fantastic run of races and lined up 3rd, with Jeremy Woodward, also returning, lining up 4th. Stephen Islip made it two finals out of two starting 5th with Jamie Higgins lining up 6th. 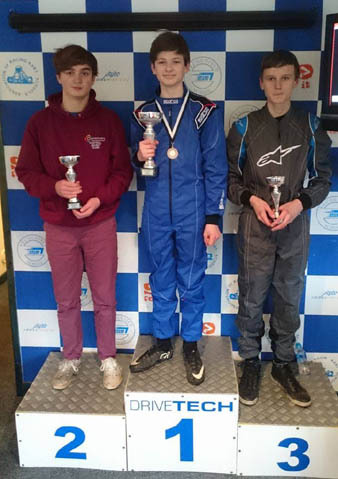 Archie Cousins was 7th and Ben Winter, who headed the points after the Heats, but was pipped to the semi-final by Oliver Bayani, completed the grid in 8th. Bayani and Seabourne both got good starts, and headed into the first corner side by side, the entered the chicane still side by side, with Bayani just ahead and as they exited the chicane it was Bayani who had the lead. Kieran Dawson maintained 3rd place while everybody else battled over 4th, with Jeremy Woodward holding the position. Out in front Bayani and Seabourne made a break for it, but the man on the move was Ben Winter, who charged his way up into 5th place and set about finding a way past Jeremy. There was contact at the top corner and they both lost out, with Jamie Higgins coming through into 4th place, with Jeremy and Ben continuing in 7th and 8th respectively. Seabourne was trying everything to find a way past Bayani, but Bayani was able to fend him off and take his 2nd win of the season. Dawson came through to take a brilliant 3rd place, with Jamie Higgins 4th. Stephen Islip took 5th, Archie Cousins 6th, Jeremy Woodward 7th and Ben Winter 8th. The fastest lap of the day went to Michael Seabourne in the final with a very fast 23.72. 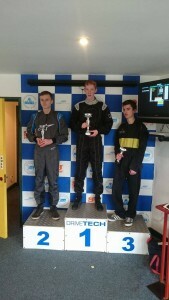 While Kieran Dawson was the highest scoring driver on the day taking 53 points. Bayani was 2nd with 51 points and he extended his championship lead over Ben Winter who scored 45. Round 3 takes place on Saturday 4th June, we hope to see you then! 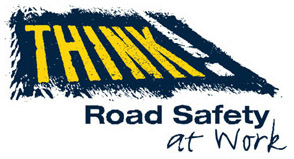 Promote safe driving and reduce the risk of offending and / or collisions with the potential for injury or death. Demonstrate in real time a combined emergency services response to a fatal road traffic collision; with rolling commentary explaining the actions of each of the emergency services. Illustrate the consequences of unsafe driving. Raise awareness of the role of the Family Liaison Officer. 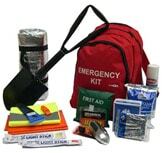 Showcase the emergency services and related road safety agencies. 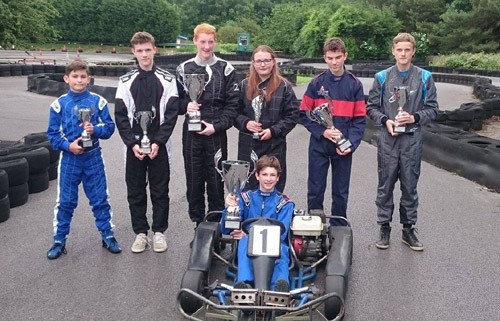 Round 5 of the Castle Combe Junior Karting Championship took place on Sunday, the track was dry again, but the racing drew a number or surprising results. The first of which was Alex Cameron, who drove brilliantly in all 4 of his heats to take 4 wins and with it line up on pole position for the final. Harry Sadler made it 5 finals from 5 to line up 2nd on the grid, with reigning champion Jacques Flanders 3rd. Matthew Baker lined up 4th, Neo Mcbraida 5th and Cameron Polledri 6th. The big surprise being Championship leader Josiah Lockett not making the final. As the lights turned green Alex Cameron aced the start and kept the lead into the first corner, quickly pursued by everyone else with every driver maintaining position. Alex kept everyone at bay for 2 laps, with the entire field bumper to bumper covered by the smallest of margins, but as they entered the 3rd lap Harry Sadler positioned his kart brilliantly to get the cutback on Alex Cameron to take the lead. Alex Cameron continued to defend 2nd place and Harry Sadler was able to open up a gap. Jacques Flanders was next to find a way through past Alex and took 2nd place, before Matthew Baker was also able to find a way through to take the final podium spot. Out in front though Harry Sadler was able to set fastest lap and come across the line for a comfortable win. Jacques Flanders took 2nd, with Matthew Baker 3rd. Alex Cameron held on for 4th, with Neo Mcbraida 5th and Cameron Polledri 6th. 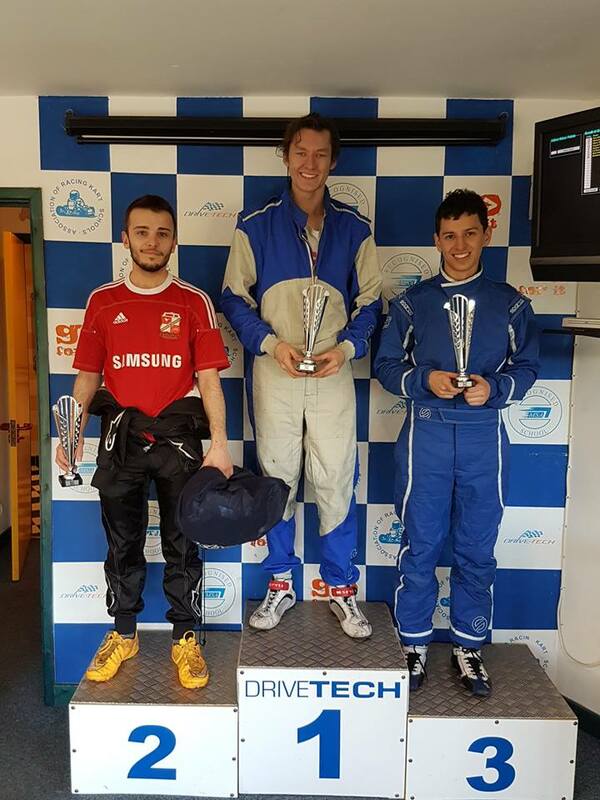 The driver of the day award went to Alex Cameron who was a very deserving winner of the award, just missing out on the podium. Josiah Lockett still maintains the lead in the Championship, but now only has 2 points over Harry Sadler! With Matthew Baker and Jacques Flanders both 15 points further behind but with a round in hand. Round 6 of the championship takes place on Sunday 24th April. We hope to see you then! 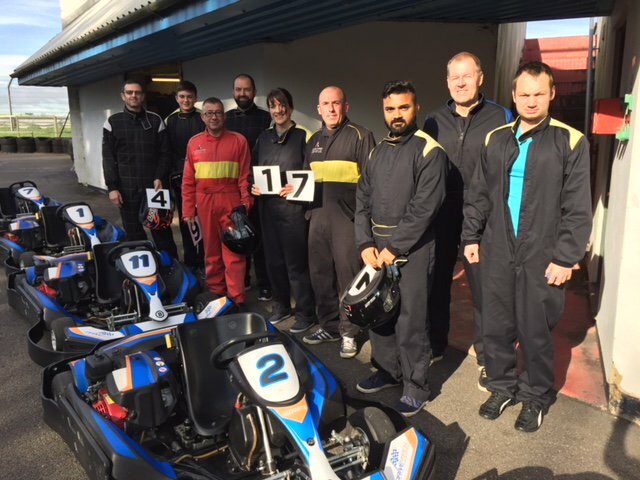 Bath Rugby are repeat visitors to Drive Tech and they recently booked in at short notice for a fabulous afternoon of karting on our outdoor go kart track. On arriving at Drive-Tech, the 30 strong group of Bath players enjoyed a coffee whilst getting kitted out and listening the safety briefing. As the team have been to us before we knew what to expect. We’d have to get out the extra-large overalls and large helmets! Unfortunately, all of our karts have a fixed width seat and we have to admit that we enjoyed watching some of the very large forwards squeeze their substantial bottoms and backs into the karts! 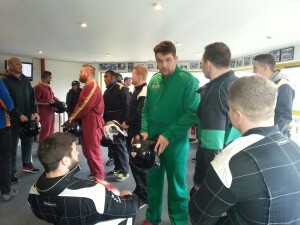 The players had opted for an endurance race so established teams to compete in. The idea of the endurance race is simple; complete as many laps as possible in the allotted time of 2 hours. Of course, there are time penalties for dangerous driving and other karting offences which would see the offender sitting in the pits for a time period. Being highly competitive professional sportsmen, this is certainly not something they would have enjoyed. We can safely say that everyone really enjoyed the afternoon’s sport and we certainly enjoyed witnessing the competitiveness and banter between amongst the Bath team. Thank you Bath Rugby for coming to our Chippenham Go Karting facility once again. We look forward to welcoming you all back soon. 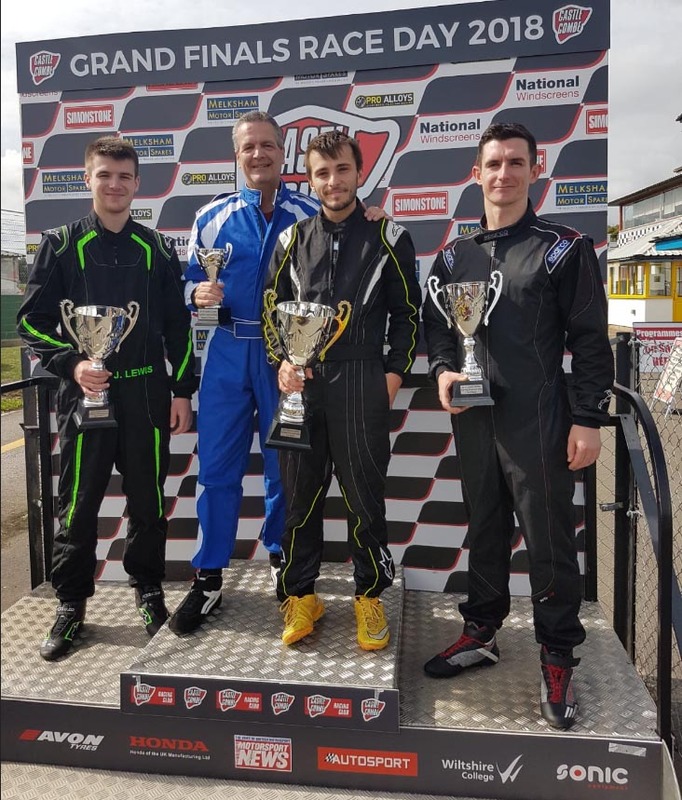 It was reigning champion Oliver Bayani who qualified on Pole position for the final of the adult go kart racing championship, with Ben Winter joining him on the front row. Jamie Higgins had a brilliant drive to win his Semi-Final and qualified 3rd. James Paramore joined him on the 2nd row starting 4th. Archie Cousins lined up 5th, with Jordan Howse 6th. Stephen Islip qualified 7th as the fastest 2nd place driver in the Semi-Finals with Rui Rodriques completing the grid as the second fastest 2nd place driver, just pipping Kieron Dawson by 0.01 seconds. Oliver Bayani got a great start to convert pole into the lead. Ben Winter did not get away that well and James Paramore was able to squeeze his way through into 2nd place, with Ben dropping to 3rd. This was able to give Oliver breathing space out in front and he used it brilliantly to set a string of fastest laps while the rest of the drivers battled over 2nd. It got very close between James and Ben but Ben was just able to get through. James came straight back at him, trying to re-overtake but it resulted in contact and James very sensibly slowed to allow Ben to maintain the place. This however put him under pressure from Archie Cousins, who had worked his way up into 4th place. Ben Winter was now in 2nd place, setting about closing down Oliver Bayani, but Oliver continued to pull out a gap and he set the fastest lap of the day on the very final lap to take the victory. Ben Winter came home in 2nd and Archie Cousins was able to find a way through into 3rd place to take the final spot on the podium. James Paramore was right behind in 4th, with Jamie Higgins, Rui Rodrigues and Stephen Islip all bumper to bumper, finishing in that order. Gary Snook scored the highest amount of points in the Masters Championship. Round 2 takes place on Saturday 7th May. We hope to see you then! Round 1 of the 2016 Spring Junior Karting Championship took place on Sunday 7th February. 21 Drivers turned up for what was a very wet day. The stand out driver of the day, without a doubt, was Josiah Lockett who lined up on pole position for the final after winning all 4 of his heats. He was joined on the front row by Cameron Polledri. Alex Mamuda lined up 3rd, with Harry Sadler lining up 4th. The final row of the grid was taken up by Jake Bishop and Robin Hayman. Josiah Lockett got a great start, converting pole in the lead. Cameron Polledri held 2nd, with Alex Mamuda fending off the chasing pack. Robin Hayman and Harry Sadler were the chasers and they locked bumpers, which delayed them both giving Mamuda a bit of breathing space. Lockett was able to open up a gap to Polledri who was able to open a gap to the battle for 3rd. Harry Sadler was able to catch Mamuda back up and move his way up into 3rd place and set his sights on trying to catch Polledri for 2nd. Hayman was able to fight his way past Mamuda as well and took 4th place, but Sadler had opened up enough of a gap ahead. As the race was coming to a close, Sadler was closing on Polledri, but never got close enough to make a move. So when the Chequered flag fell, it was Josiah Lockett taking the win. Cameron Polledri took 2nd, with Harry Sadler 3rd. Robin Hayman was 4th, Alex Mamuda 5th and Jake Bishop 6th. The Fastest Lap of the day went to Josiah Lockett, who was able to take the clean sweep, winning all 5 of his races and setting the fastest lap to take a maximum points haul. An achievement worthy of the Driver of the Day Award. Round 2 of the Championship takes place on Sunday 21st February, we hope to see you then! Our Junior Karting Championship revs up again with the first round of 2016 on Sunday 7th Feb. Our first Drive Tech Public Karting Grand Prix of 2016 is scheduled for Saturday 27th Feb, cost just £47 per person (pre booking essential). This is our cheapest option for small stag/hen parties rather than exclusive use. 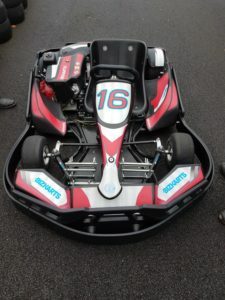 It is also a good date for drivers who want to get in some practice ahead of the first round of the Castle Combe Karting Championship on the 12th March. Give the Drivetech office a call on 01249 783010 to reserve your place. Flanders takes the title as Matthew Baker is hit by cruel misfortune! Heading into the final round of the Championship, the battle for 1st was between two drivers, Jacques Flanders and Matthew Baker. However Matthew Baker had to win every single race and set fastest Lap to take the championship, while Jacques only had to improve on his previous lowest score by 1 point. This was not the only battle to be decided, Alex Acton was holding 2nd in the Championship, with Josiah Lockett not too far behind in 4th place. While the Best Novice Championship was also hotly contested with Alex Mamuda and Michael Saunders separated by just 1 point! After all of the heats Jacques Flanders was unable to improve on his lowest score, which meant that it was all down to Matthew Baker who was still in contention having won all 4 of his heats and lined up on the front row of the grid for the final. But it was Josiah Lockett who qualified on pole position for the final, he had also won all 4 of his heats and was still chasing after 2nd in the Championship. Robin Hayman lined up 3rd on the grid, holding the all important Fastest Lap at this point. Martha Hopes made the final for the first time this year, to cement her victory in the Ladies Championship, lining up 4th on the grid. With the two best Novice drivers lining up 5th and 6th on the grid. Michael Saunders could still win the best novice championship, however he would need to win the final and set the fastest lap, much like Matthew Baker. Josiah Lockett got a great start to lead into the first corner, but Matthew Baker was able to get himself into the lead and amazingly from 5th on the grid Alex Mamuda got himself into 2nd place, with Josiah falling to 3rd. The leading trio were able to break away from the rest of the field, with Mamuda challenging for the lead. As they exited the last corner Matthew Baker made a small mistake and Mamuda was able to make the move into the lead! It didn’t last long though and Matthew Baker charged his way back through into the lead. However the lap times in the final were a long way off Robin Hayman’s fastest lap set earlier in the day, but Baker was still pushing hard. As he came up to the top corner, his brakes failed causing him to take evasive action to avoid the barrier and dropped right down the order into 5th Place. This allowed Josiah Lockett through into the lead of the race, however Alex Mamuda was still pushing extremely hard with Michael Saunders moving up into 3rd place. Mamuda was unable to find a way back past Lockett though and Lockett took the victory. Mamuda and Saunders both impressed taking their first podiums in a final, while Robin Hayman took 4th maintaining his fastest lap from earlier in the day. Matthew Baker after horrendous bad luck finished 5th, with Martha Hopes, also very unlucky, finishing 6th. However she did set the fastest lap of the final. The Driver of the Day award went to Matthew Baker, who drove brilliantly all day. It was the closest championship we have had for years and Jacques Flanders took the championship with 132 points. Josiah Lockett was able to jump up to 2nd after a brilliant final round to finish just 2 points behind Jacques on 130. Matthew Baker ended up just 1 point further back on 129 in 3rd place. Alex Acton took 4th with 120 points, with Ed Haffenden and Neo Mcbraida finishing 5th and 6th respectively. Alex Mamuda was the best novice with 89 Points, just 3 ahead of Michael Saunders. While Martha Hopes took the Ladies Championship with 73 Points. Round 1 of the 2016 Spring Championship will take place on Sunday 7th February. Hope to see you then! 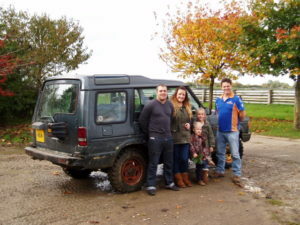 4×4 Off Road Driving Experience for driver training or pure fun! Do you want the opportunity to understand how a 4 wheel drive system works? Would you like to experience off road driving in 4×4 vehicles, operating in true off road conditions, and have a great adventure at the same time? 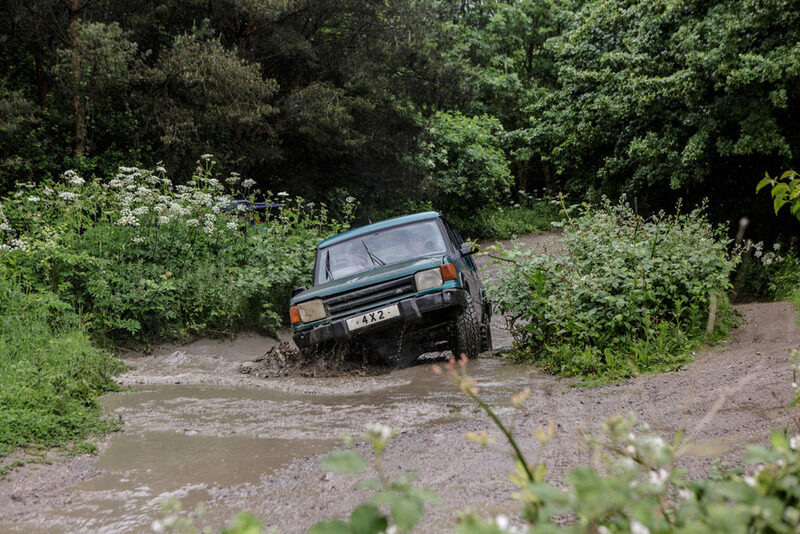 Whether you drive for business or pleasure, the knowledge and skills gained on one of our 4×4 off road driving courses can be used to ensure that vehicles are being driven properly, reducing maintenance and repair costs and improving safety. 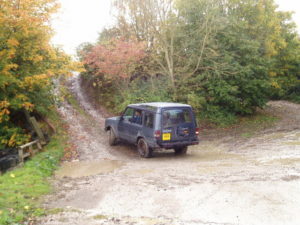 All general aspects of off road driving are covered including hill starts and stops, ascents and descents, ridges, ditches and ruts together with failed hill climb recovery techniques. With up to 3 attendees per instructor this course is exceptionally good value and will suit those drivers who want comprehensive training as well as those that just want a fun day out. Attendees will receive a course completion certificate and a set of our course notes. Give the Drive Tech office a call on 01249 783010 for more information or get in touch using our contact page. 23 drivers turned out for the 8th round of the Autumn Junior Outdoor Karting Championship. It was the first fully wet round of the championship, starting off raining with rain continuing on and off throughout the day keep the track fully wet. Alex Acton was able to get the best possible results out of his heats to line up on pole position for the final. He was joined on the front row of the grid by Josiah Lockett. Robin Hayman had a great run in the heats to line up 3rd, joined by Ed Haffenden who has really been excelling in damp and wet conditions this year. Matthew Baker, who usually struggles in the wet lined up 5th and the surprise of the meeting, 2014 Champion Ben Chick returning, lined up 6th on the grid. Alex Acton led away initially but It was Matthew Baker who charged through into 2nd place and fought his way through into the lead. Alex Acton held onto 2nd for a short while, before Josiah Lockett found a way through quickly followed by Ben Chick from the back of the grid. Josiah Lockett and Ben Chick battled out for 2nd place, meanwhile Matthew Baker was opening up a big lead out in front. Ben was eventually able to fight his way past Jos, and then set about catching Matthew for the win. Ben closed the gap very slightly on his first attempt, before Matthew Baker opened the gap up even further on the final two laps setting the fastest lap in the process. So Matthew Baker came through to win ahead of Ben Chick. Josiah Lockett drove really well to take 3rd. Alex Acton held onto 4th, with Ed Haffenden 5th and Robin Hayman 6th. The driver of the day award went to Kailey Ferris who had 4 great races, finishing in the top 3 in all of them and taking her best points haul to date! Round 9 of the Championship takes place This Sunday, Sunday 6th December. Jacques Flanders continues to lead the way, but Alex Acton and Matthew Baker have both closed up in 2nd and 3rd respectively. The novice Championship still remains extremely close with the top 7 all within 15 points! 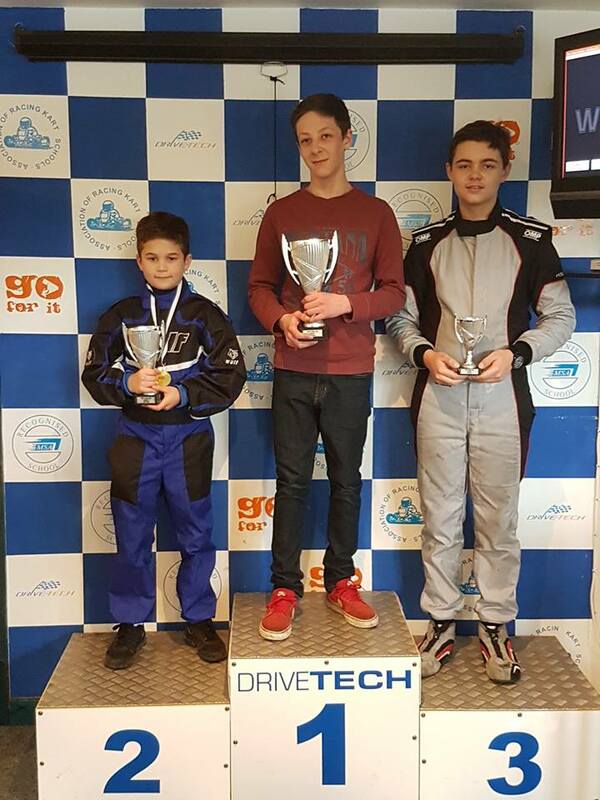 Junior Go Karting and an Intensive Skid Course won in our October competitions so we have some Drive Tech competition winners to announce! Our monthly website competition winner for October was Sukhwinder Uppal who won a Junior Go Karting Session! Well done Sukhwinder, we look forward to seeing you soon. Also, anyone who leaves us feedback after attending one of our driving experiences is entered into a prize draw. Our October Feedback Winner is Sam Lamburne who won an Intensive Skid Course. There are only two public Grand Prix Karting sessions left this year at Drive Tech. We have one on the 24th October and one on the 21st November, both at 1pm. These sessions are fantastic fun and provide a great competitive outdoor karting experience for all involved. There are limited spaces left on each session so be sure to call now to book your place. The sessions are priced at £47 per person and the minimum age is 15 or over. We think this video of one of the rounds from the 2015 Castle Combe Karting Championship truly illustrates just how fast and exciting our outdoor go karting at Drive Tech actually is! Checkout the on board driver footage to get a feel for just how quickly these karts can travel! The footage is one of many recent videos that we’ve produced, more of which are available to watch on our YouTube channel at this address https://www.youtube.com/channel/UC4yKVKjrUyWB7wNSqBBwi9Q. 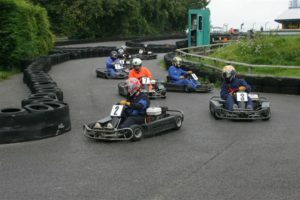 Call us on 01249 783010 or checkout the karting options on this website for more information about outdoor go karting. Whether you go for our standard or intensive realistic skid pan driving experience, you’ll experience driving in adverse weather conditions in real cars, with real tyres, in real conditions, with no cradles! 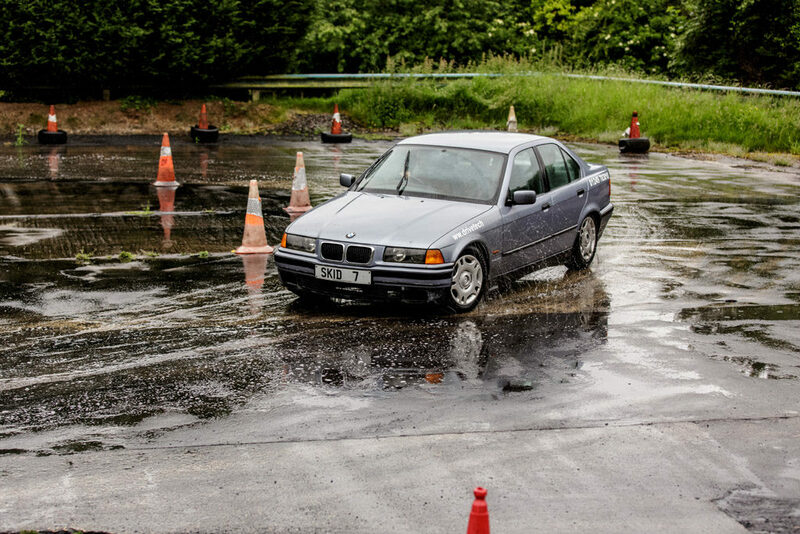 Our wet skid pan courses make a unique, memorable gift for family, friends and loved ones or colleagues where they’ll have fun while learning life saving skills. You, or the person receiving the course will drive standard rear wheel drive BMW road cars, and Rover front wheel drive cars. You will learn skid control and handling skills in a completely SAFE environment, under the guidance of our experts. 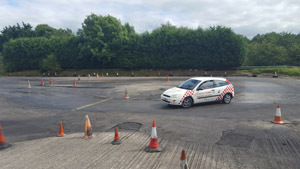 At Drive-Tech our Skid Pan experts include former Police traffic, response and pursuit drivers, Advanced Driving Instructors (ADI), and experienced motorsport drivers. All highly skilled, experienced and long-standing instructors. The July & August monthly competition winners were Brad Gibbs, who won a junior kart voucher and Jacquai Crowther who won an adult kart voucher. All subscribers to the competition will automatically be entered each month unless they tell us otherwise. There are still plenty of chances left to win this year! 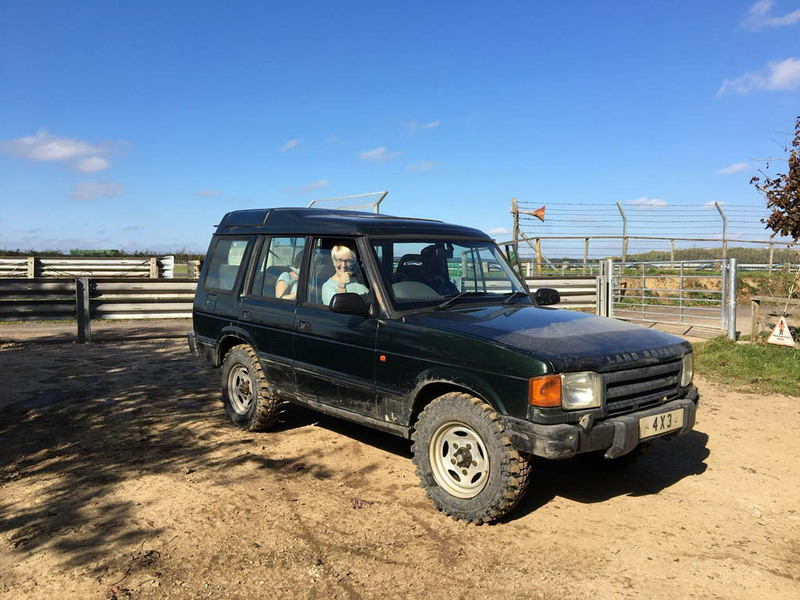 “Our instructor, Ray, introduced us to the Land Rover Discovery 4×4 and asked my wife Tez and I who would like to go first. It was obvious to see who was the most excited with Tez jumping at the chance to get in and drive. Finally, Ray showed us a route involving all types of hills, bumps, water features, slidey areas and obstacles and then said to Tez “off you go!”. It was like showing red rag to a bull; she was gone before he could finish putting his seat belt on and she did say the final go was the highlight of the day. How to drive in adverse weather – a Confused.com video filmed on our skid pan! We’d like to say a huge congratulations to Sally Edwards who has won a junior karting gift voucher after entering our FREE monthly competition on our website. Well done Sally, we look forward to seeing your on the karting track very soon! Drive Tech are appearing at Evolution Bristol!! We are very happy to announce that Drive Tech will be at the fantastic Evolution Show in Bristol on the 6th June 2015! The event will be showcasing electric cars from manufactures such as BMW, Toyota, Nissan, Peugeot and many more. Huge names with great cars…and you get to drive them ALL! Ever better….the event is FREE to attend! Check out the Evolution Bristol website for more information here http://bristol.evolutionshow.co.uk/. Drive Tech will be present at the event offering our superb advice on skid control, so come on over and say ‘hi’. There will be a number of pairs of our Skid Pan vouchers available to win at the show!! Heart FM are also a sponsor of the event and you have a chance of winning a pair of Drive Tech Skid Pan vouchers over at the Heart FM website. 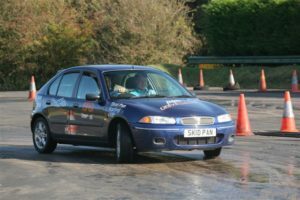 Our Expert Skid Instructor Paul Nash will be representing Drive-Tech at the Police Cadets Driver Awareness Event on the 16th June 2015 at Bath Racecourse. Young drivers (under 25) are in the high risk category for road collisions/deaths. The Police Cadets either are, or shortly will be, young riders of motor scooters/mopeds or young car drivers; so the aim is to educate them with regards to safe riding/driving and to raise their awareness of road safety. Promote safe driving to reduce the risk of offending and/or collisions with the potential for injury or death. To explain the implications and penalties of inappropriate and anti-social riding/driving. Educate on vehicle safety and inappropriate modifications to vehicles. Explain vehicle crime and road traffic collision statistics in Avon & Somerset. Explain the role of the RPU and Tri-Force. Demonstrate the combined emergency services response to a fatal road traffic collision. March Competition winner – Terry Mann who won a skid course and April Competition winner – Emma Ann Wilton who won a junior Kart session! Congratulations to them both from the Drive-Tech Team. The 2015 karting season is well underway both our Junior and Adult karting championships have had great entries. Round 1 of the Adult championship videos are now up on you tube and we still have spaces left on round 2 which takes place on 11th April so if you think you have what it takes then take a look at our dedicated pages for karting here. The juniors are nearly half way through the Spring Championship with great close racing, leaving the championship wide open. 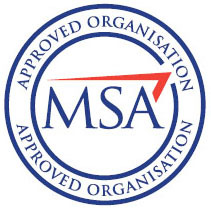 Call a member of our expert team if you want further info or any help 01249 783010.